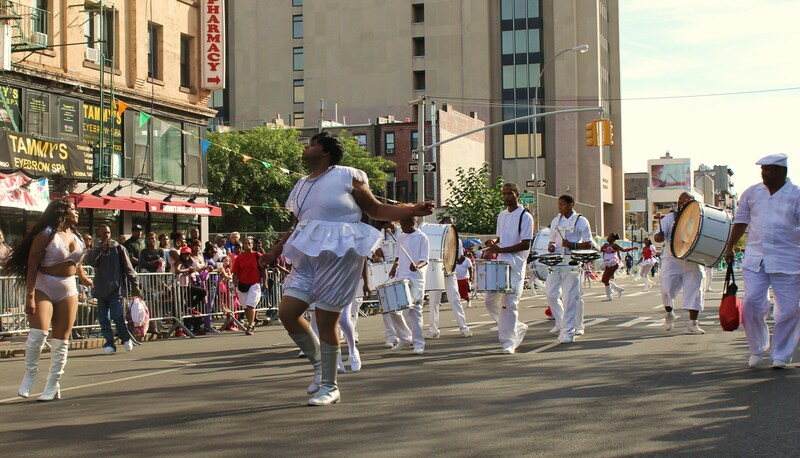 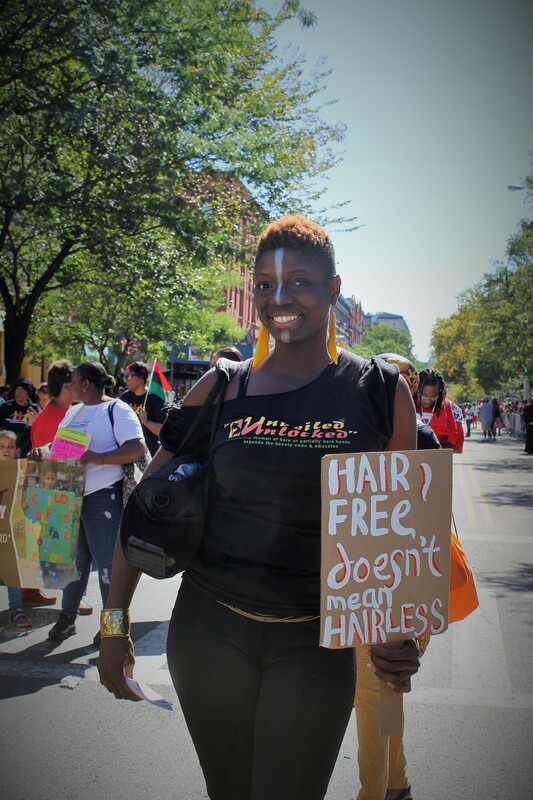 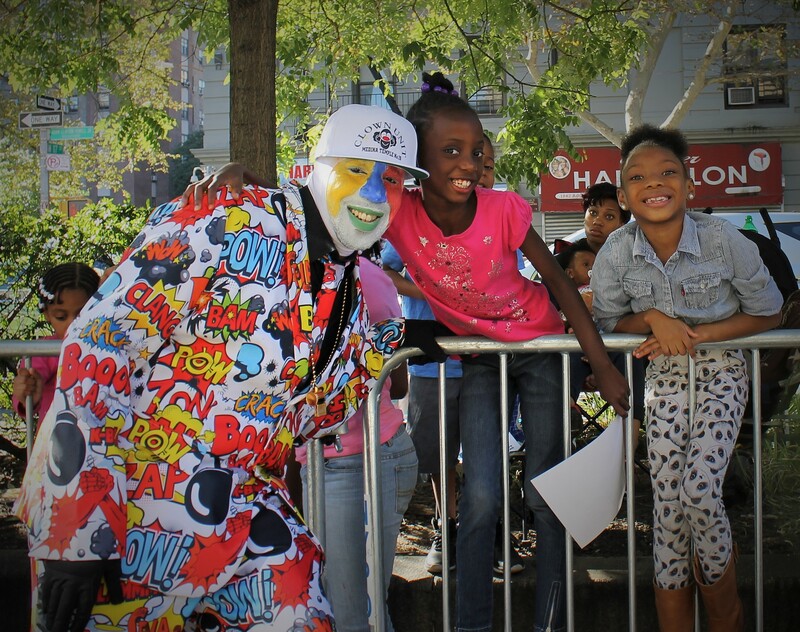 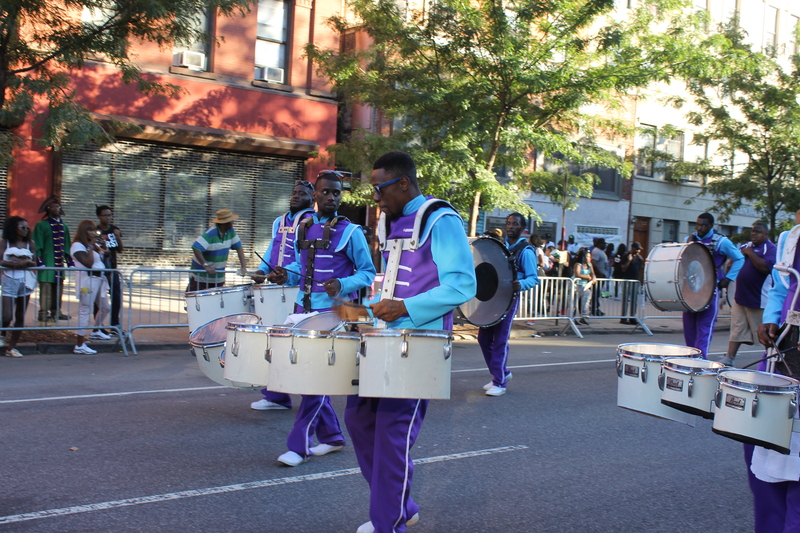 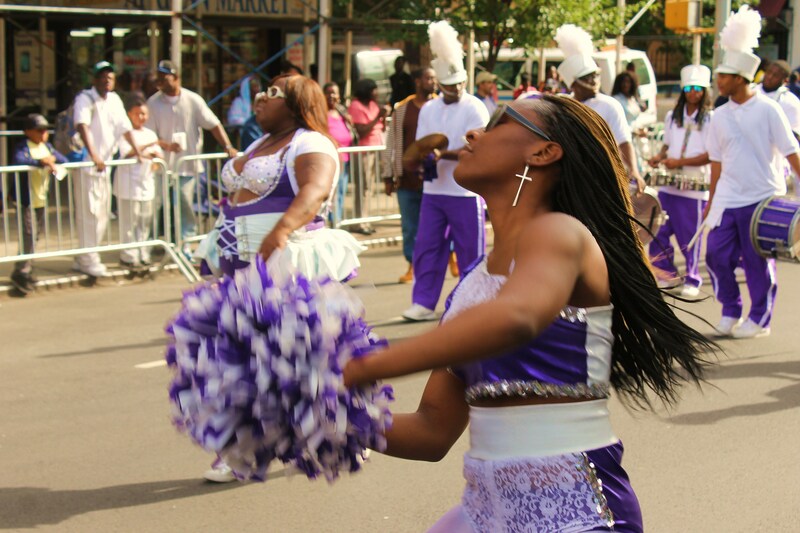 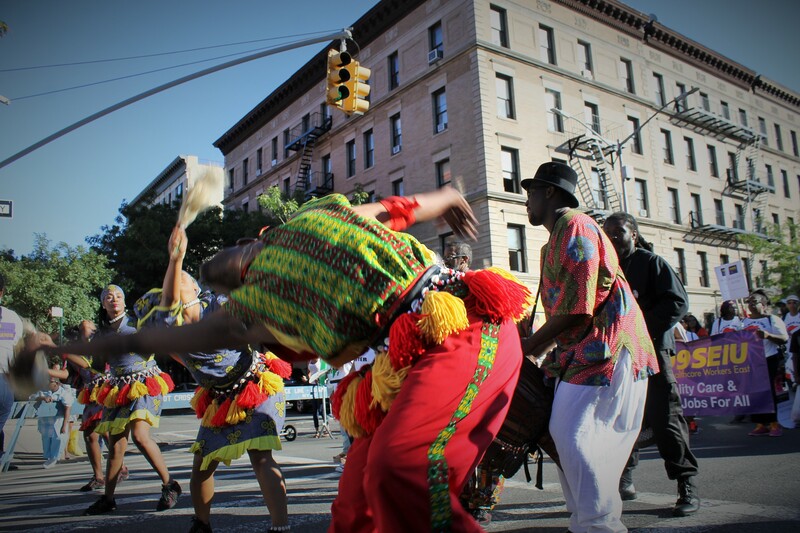 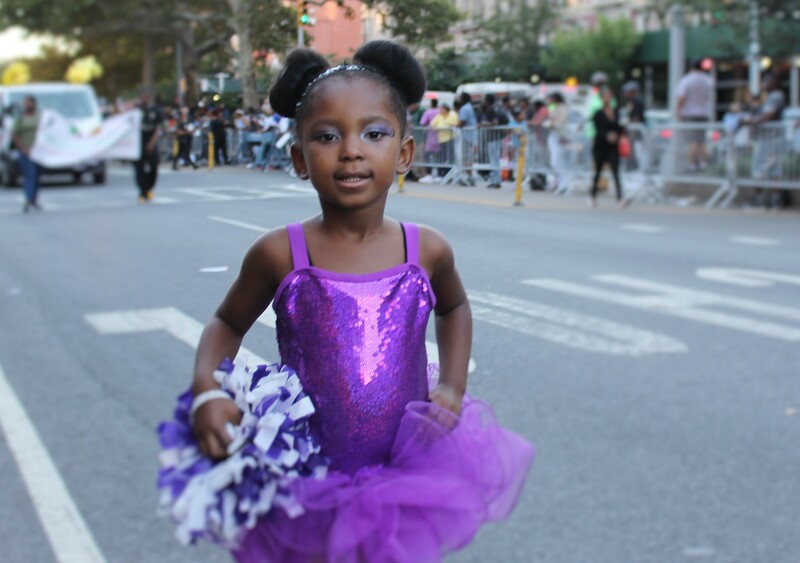 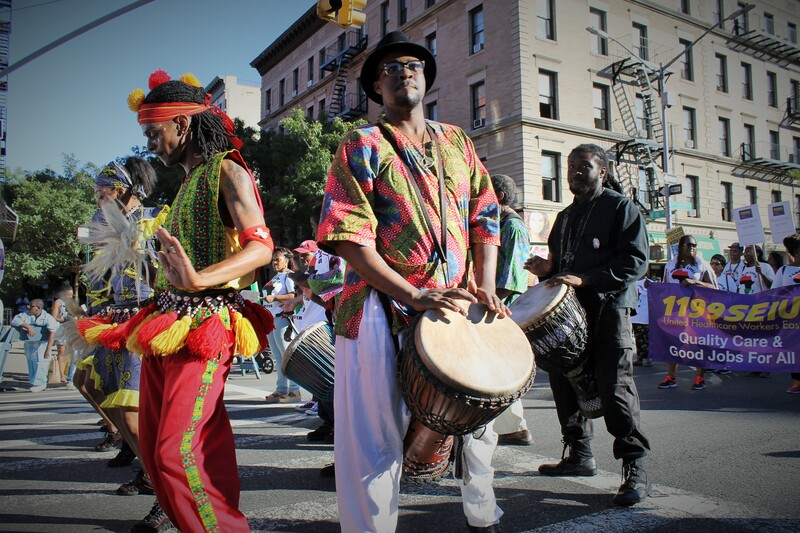 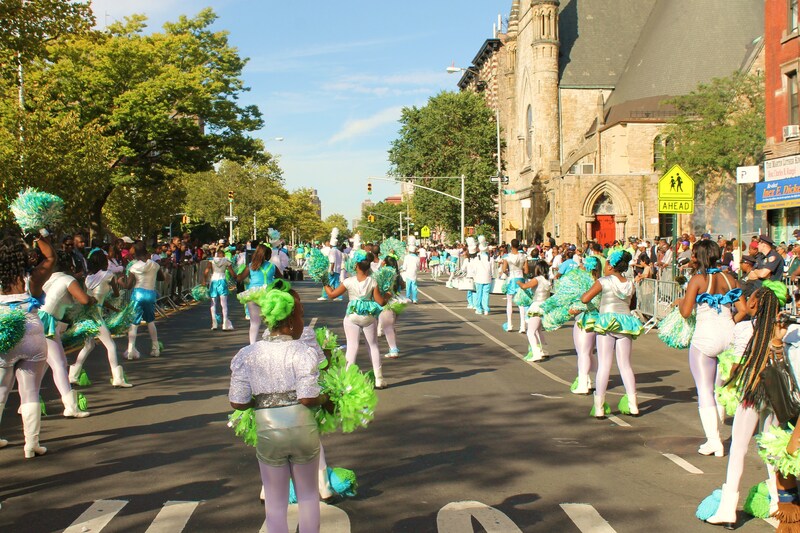 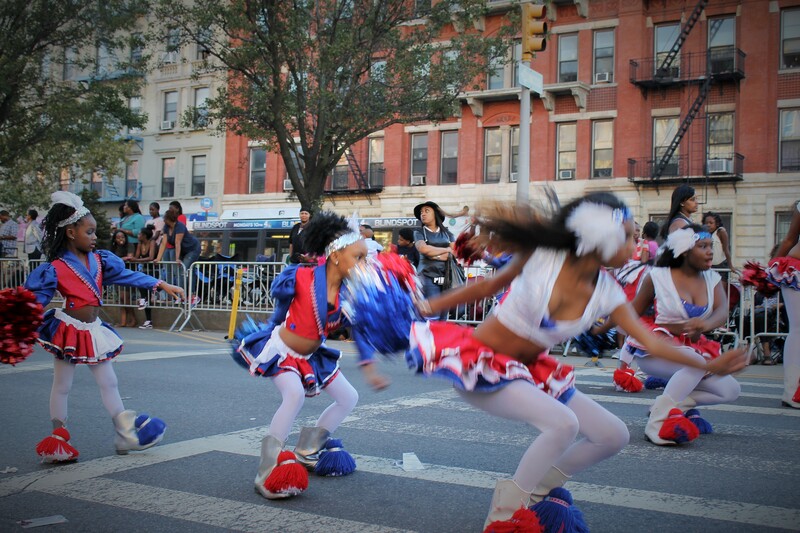 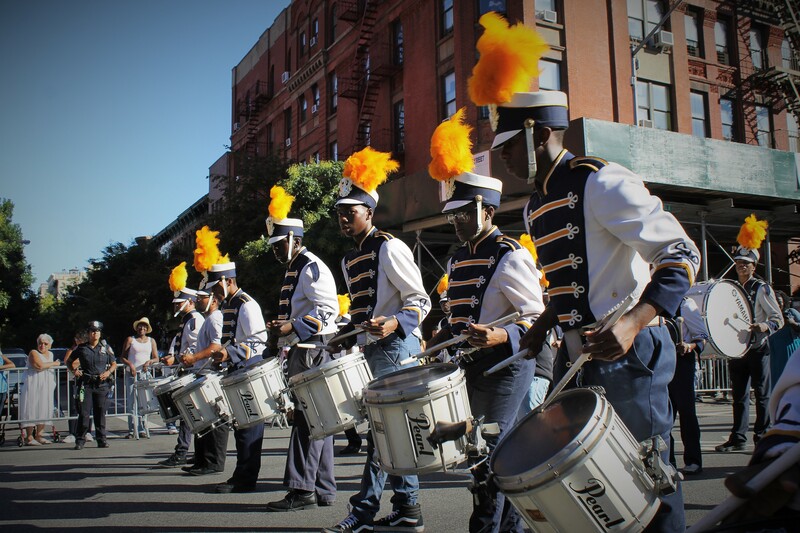 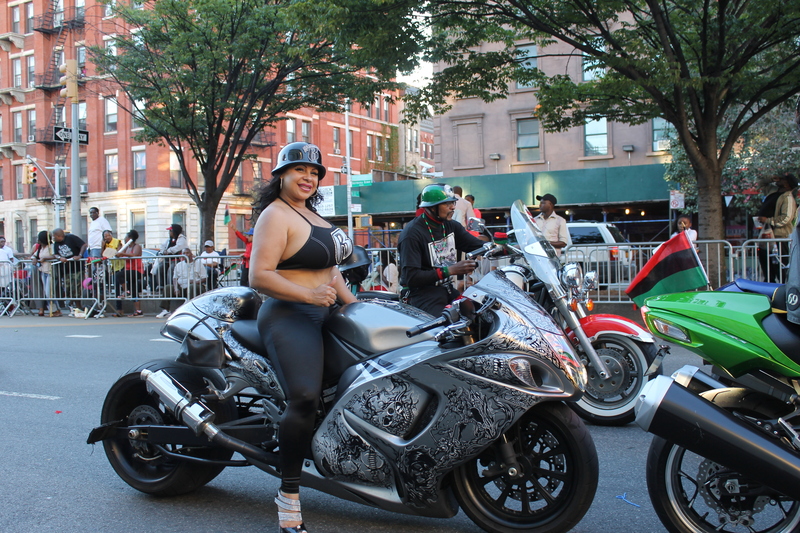 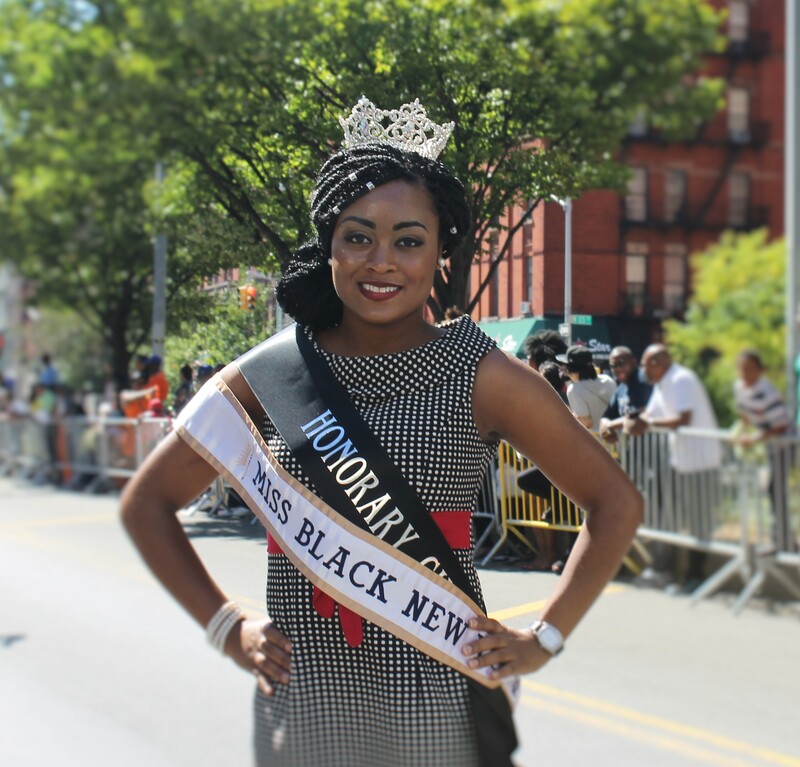 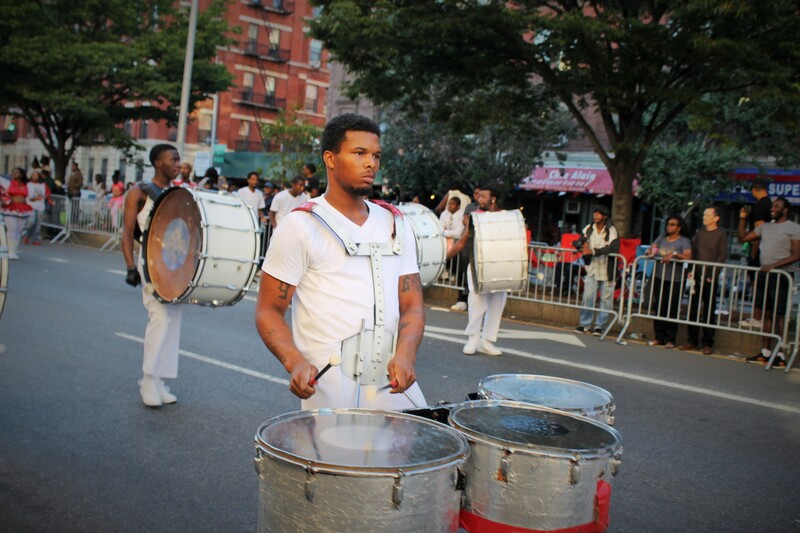 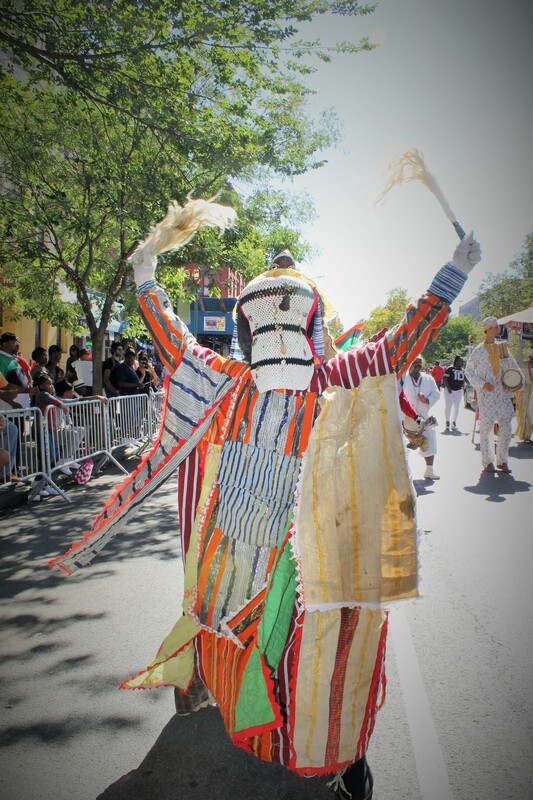 The last weekend of one of the hottest summers in the city closed out with a festive celebration of African American culture and contribution in Harlem USA. 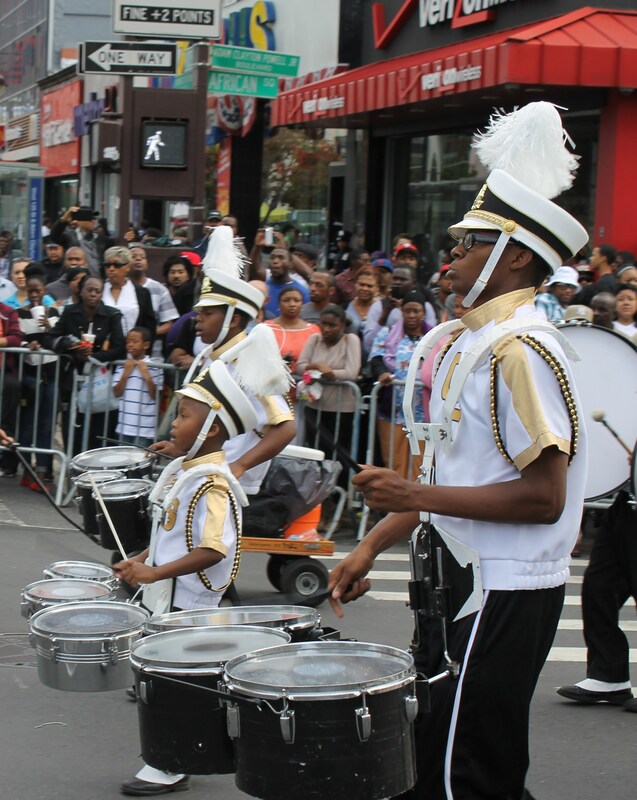 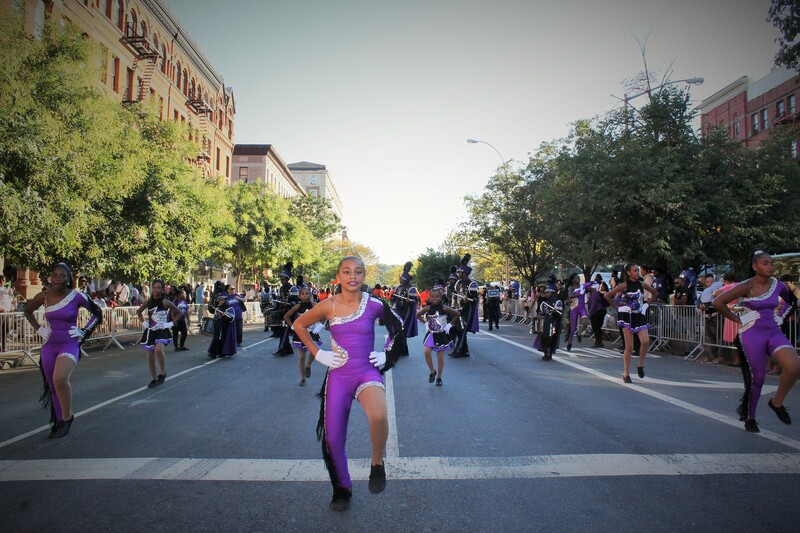 Billed as the largest Black Parade in the Nation, it certainly lived up to the hype. 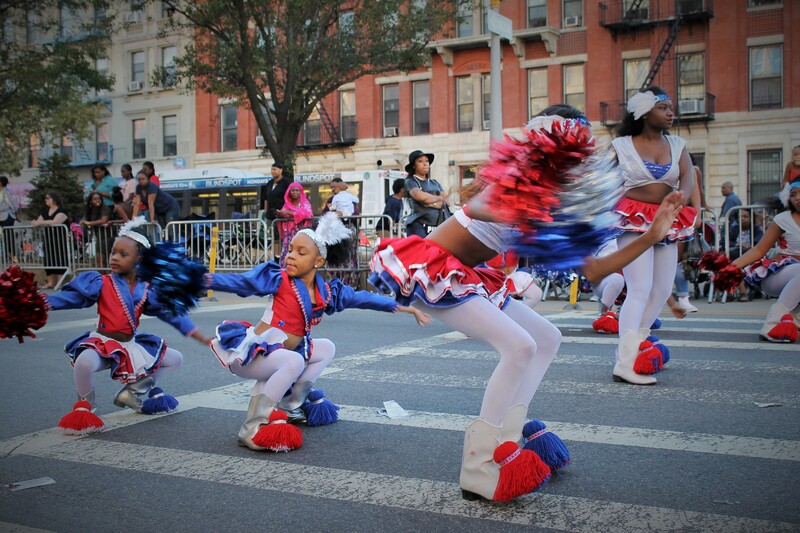 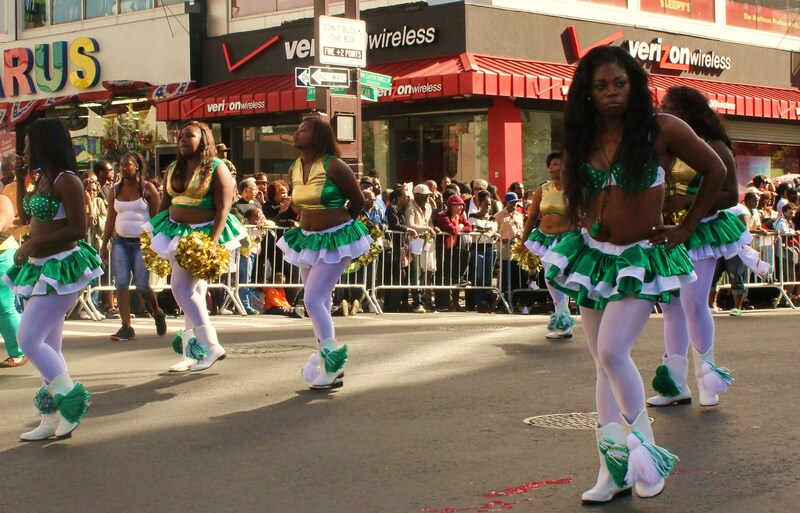 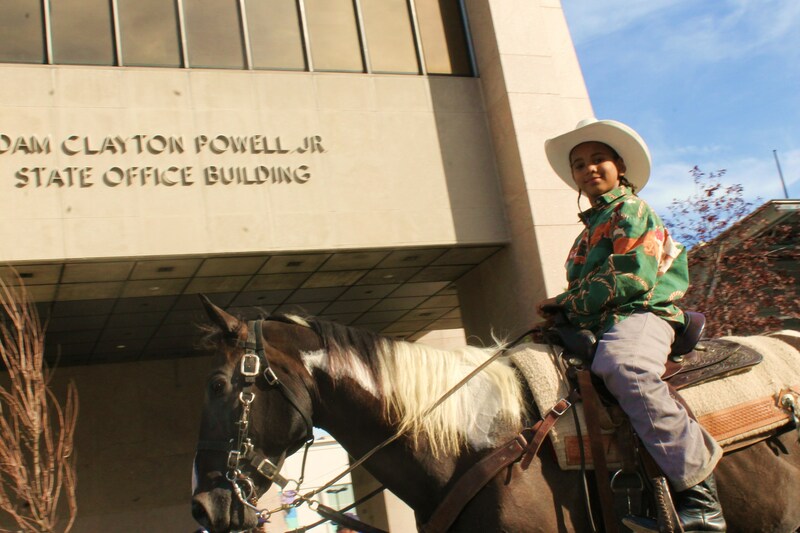 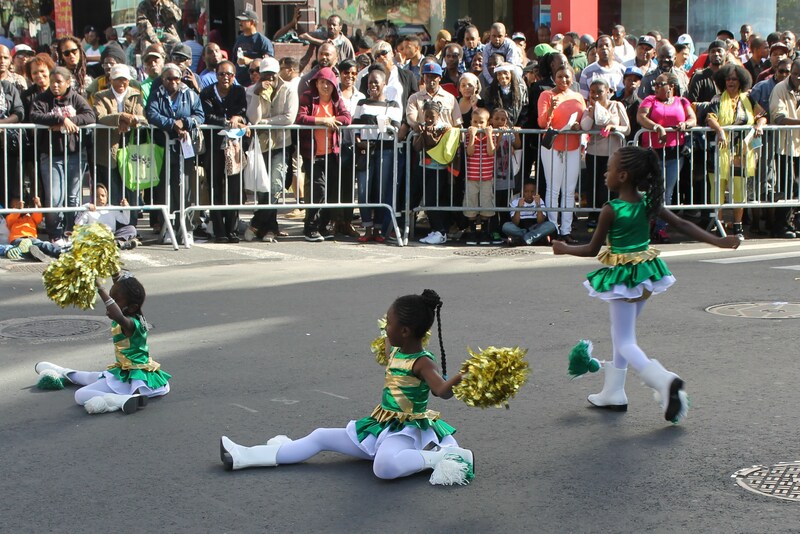 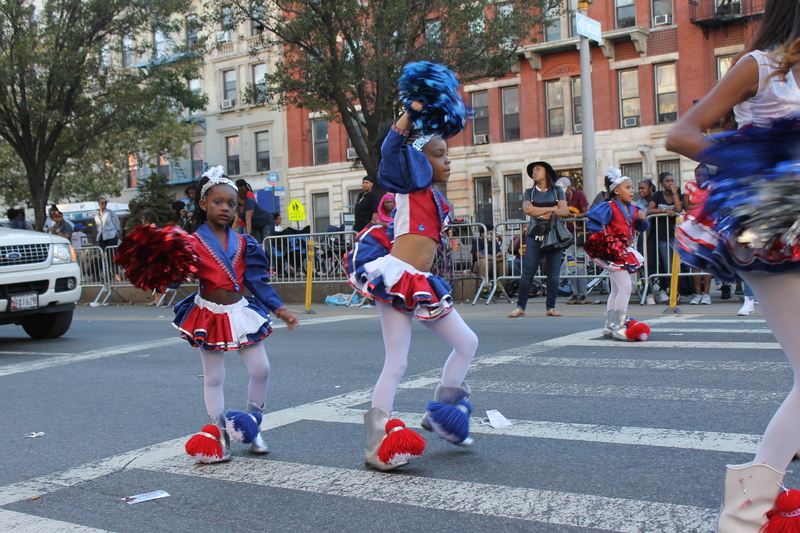 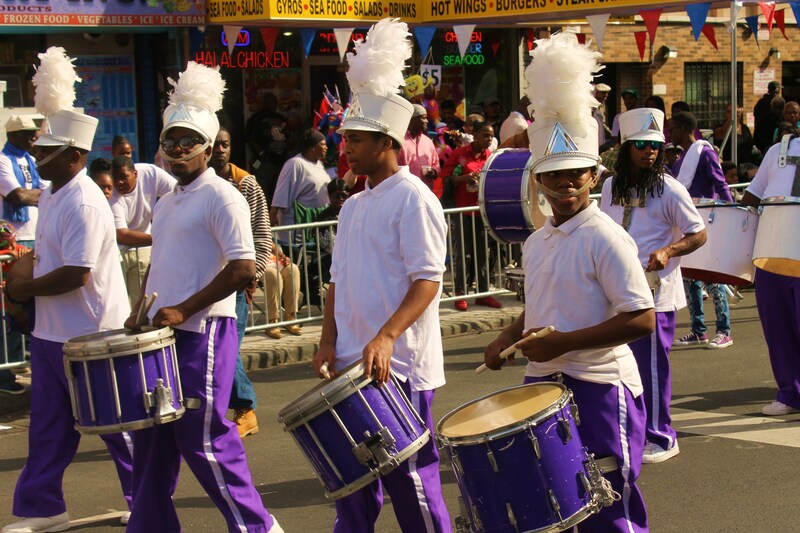 It’s also becoming one of the longest parades rivaling St. Patrick’s, the Puerto Rican, and West Indian parades. 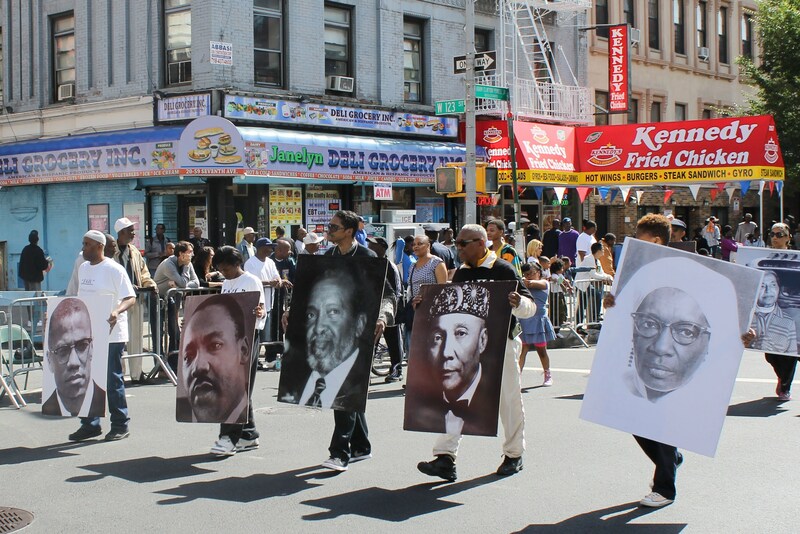 It’s becoming larger with groups coming in from 12 states and more community groups getting involved. 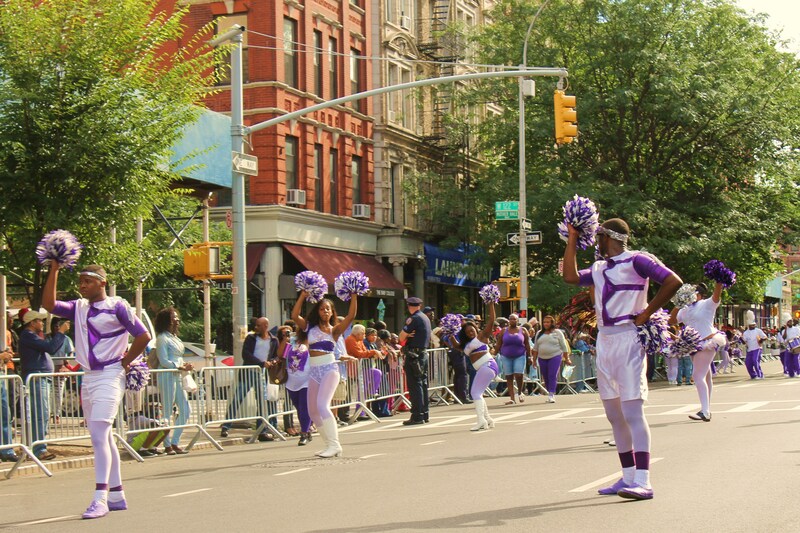 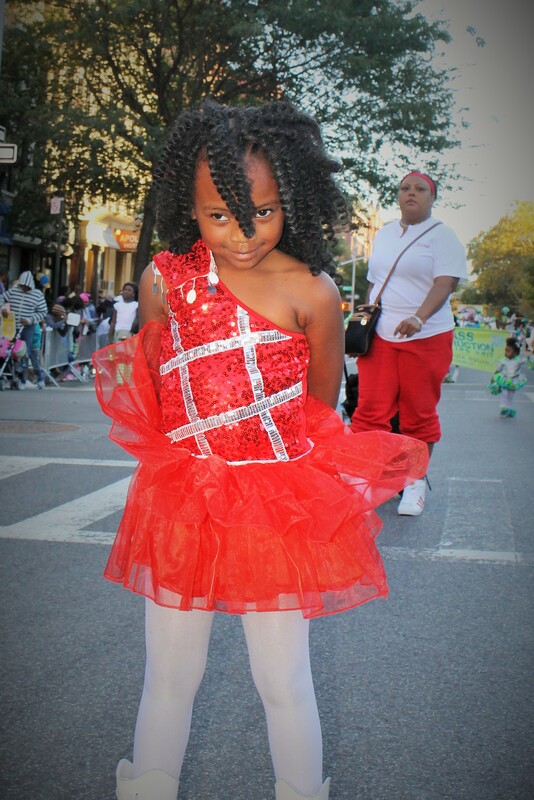 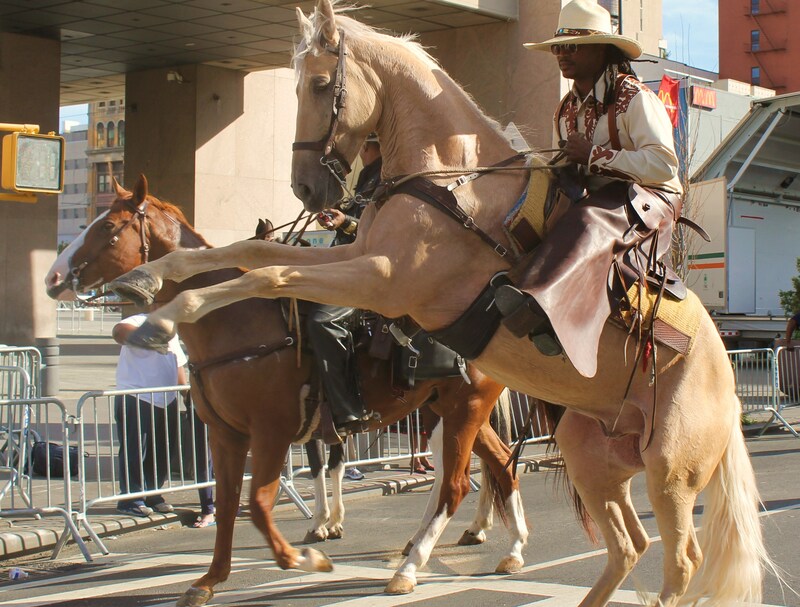 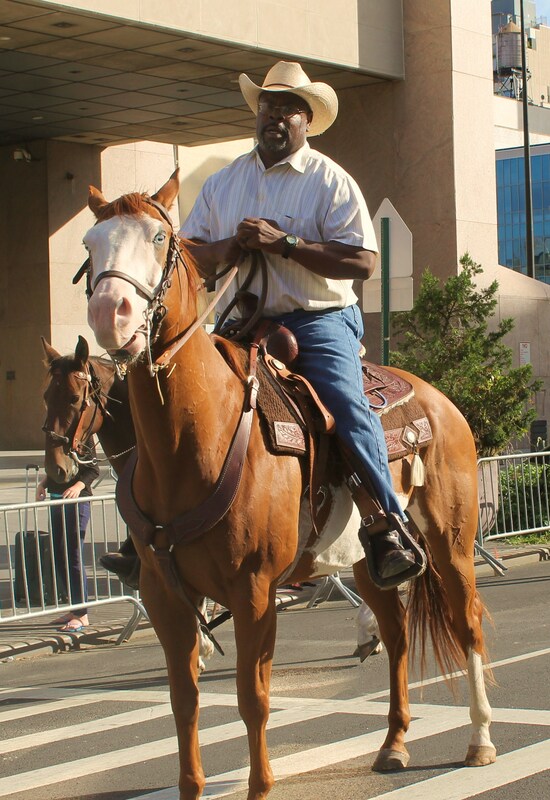 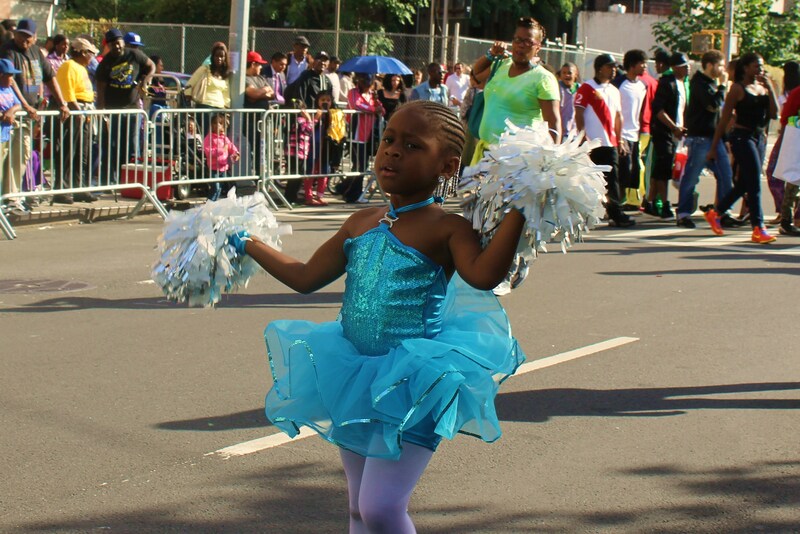 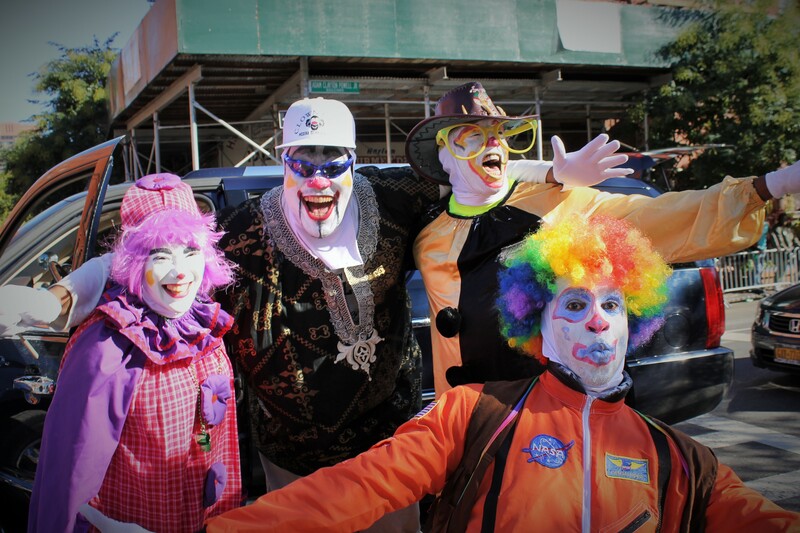 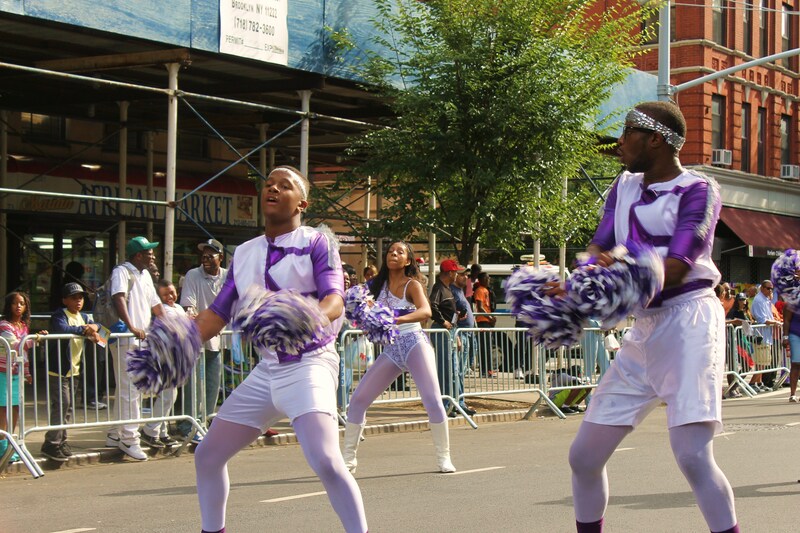 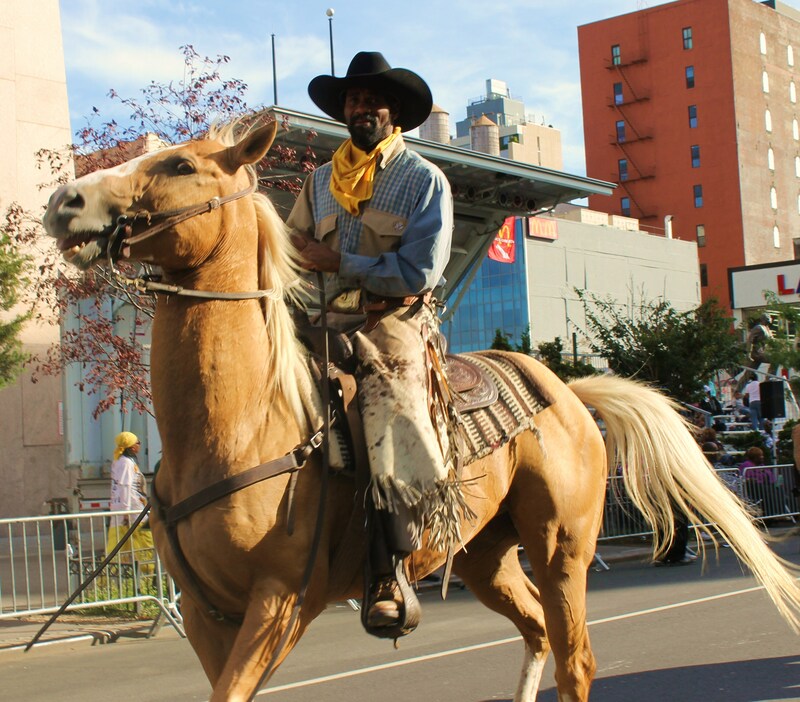 One thing was clearly evident in the grand celebration of the 46th annual event…everyone brought their A game to the parade. 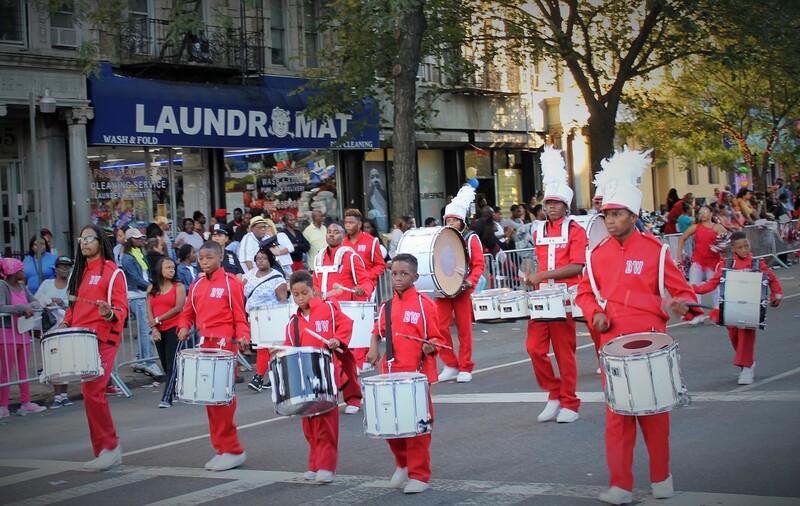 Starting with the lead marching band from Lincoln University of Pennsylvania as they set the tone for what would be a day of fun, sharing knowledge, activism, music and some great steppers. 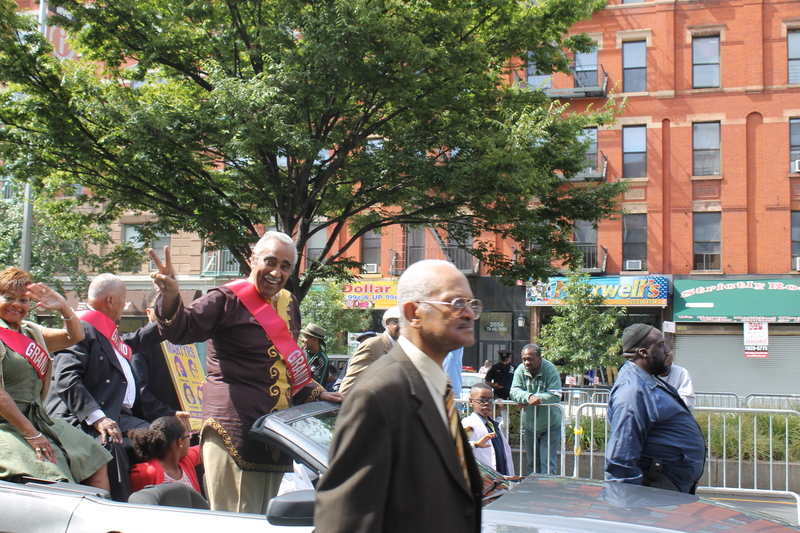 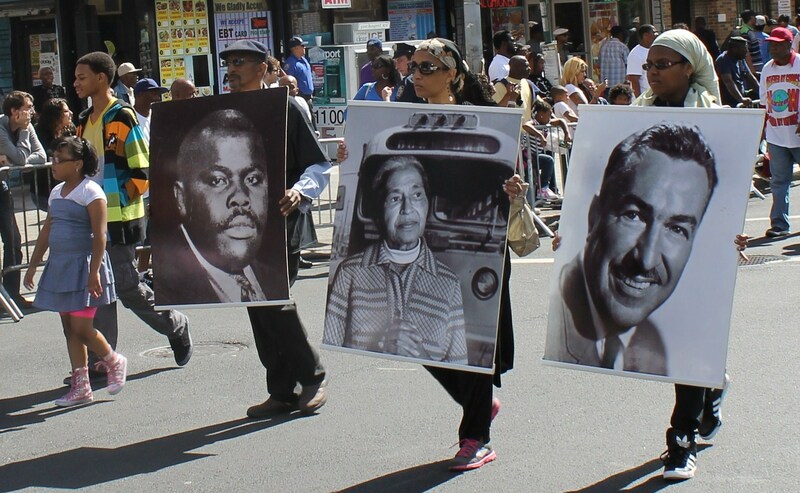 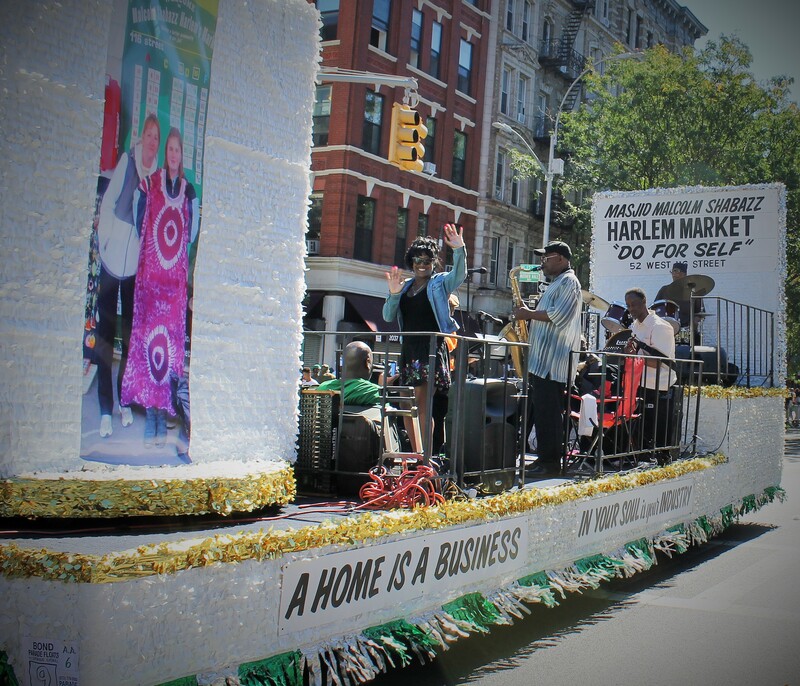 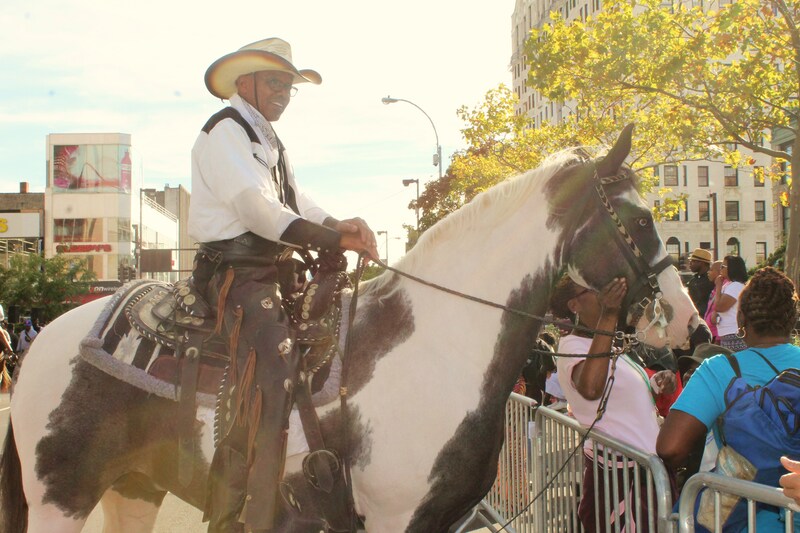 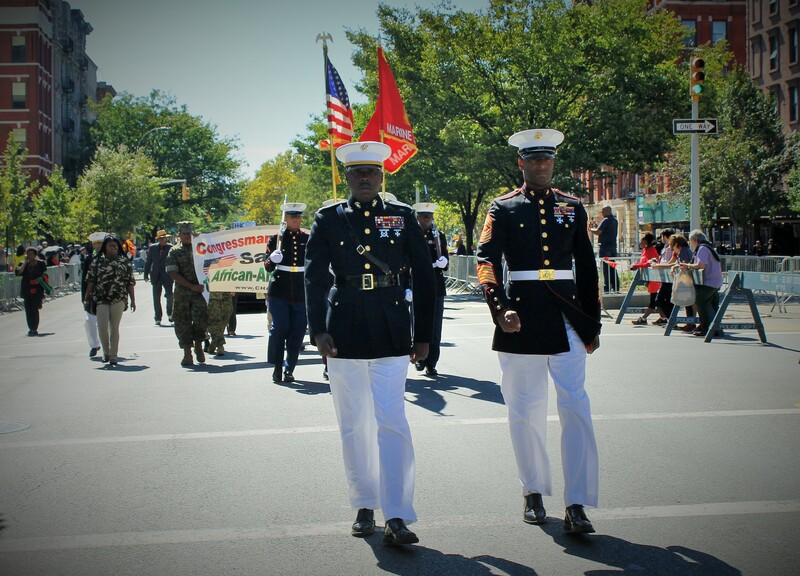 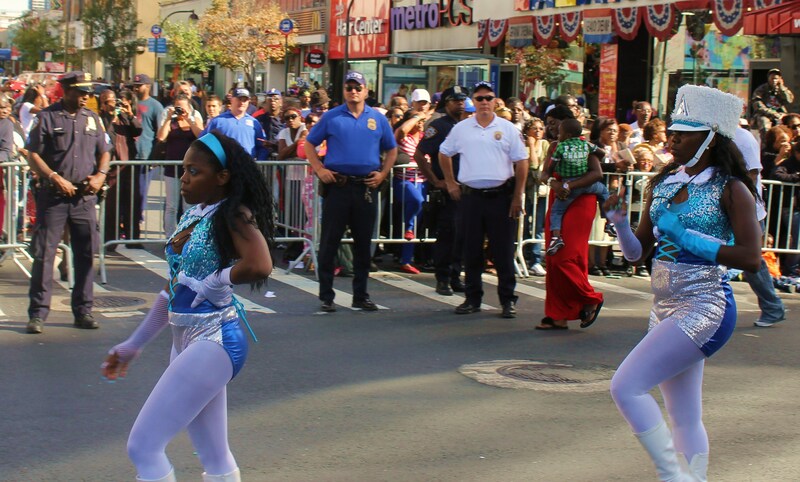 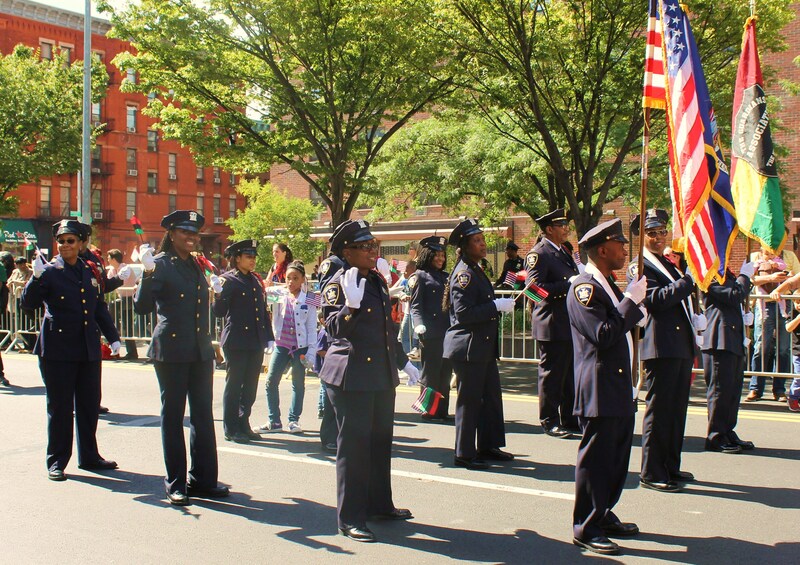 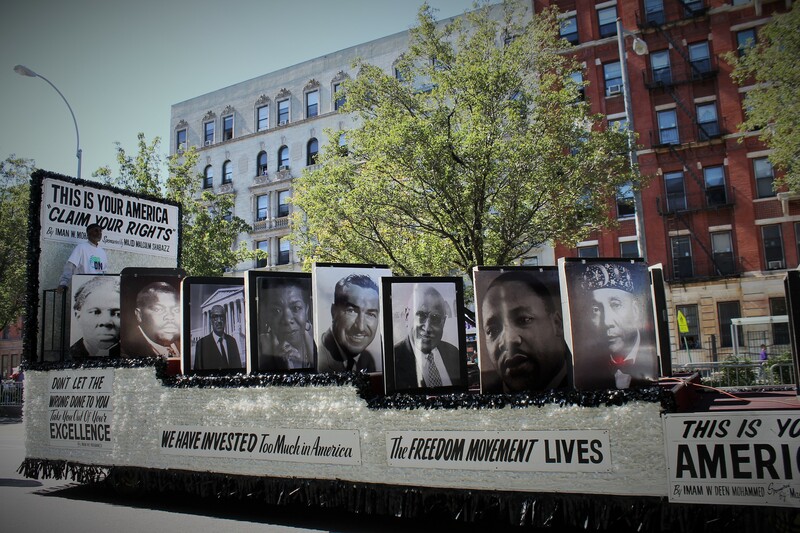 After parade dignitaries and VIPs made their way to the reviewing stand on 125th St and Adam Clayton Powell Jr. 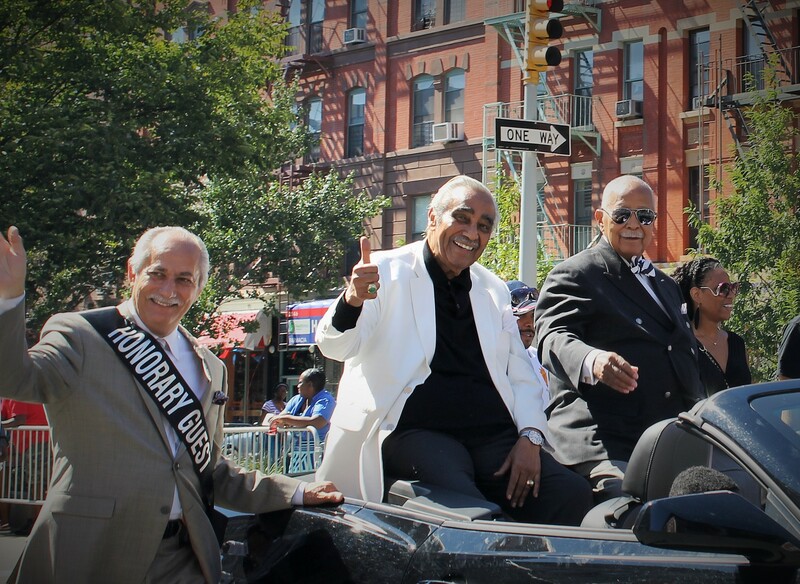 Blvd., current and former politicians including former Mayor Dinkins and Rep. Charles Rangel drove up the parade route. 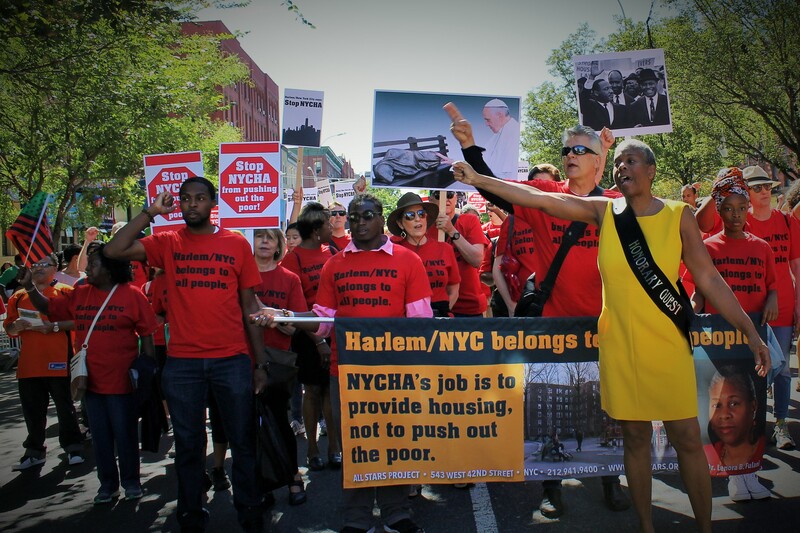 Mayor de Blasio was well received mostly because of his effort to increase affordable housing and push for income equality…issues that have impacted the African American community deeply. 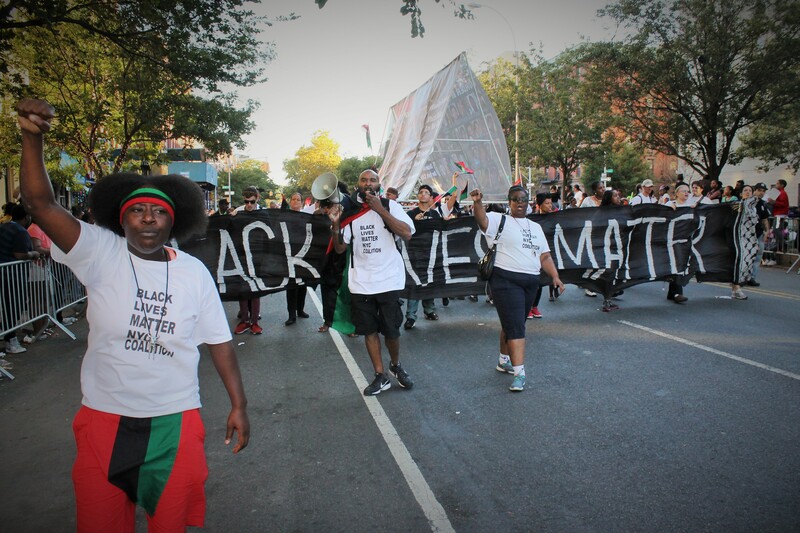 Activists and community groups were in abundance as recent events directed against defenseless African Americans by police has galvanized the community to help bring about change. 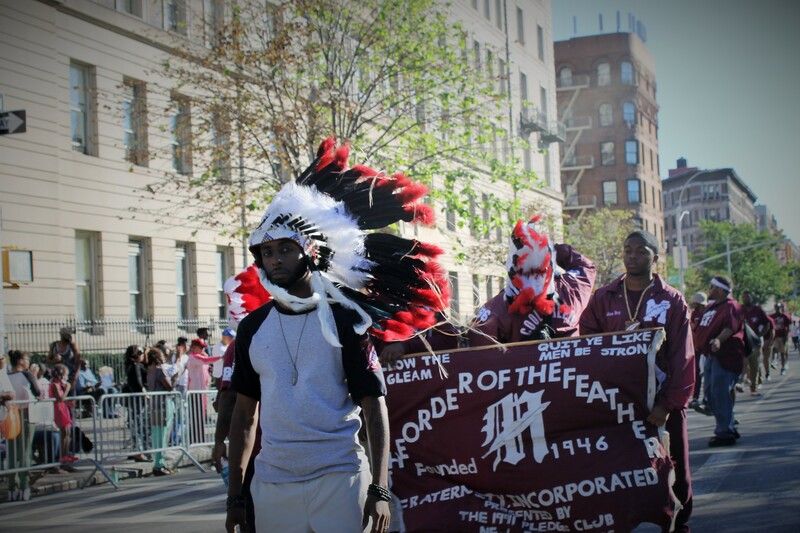 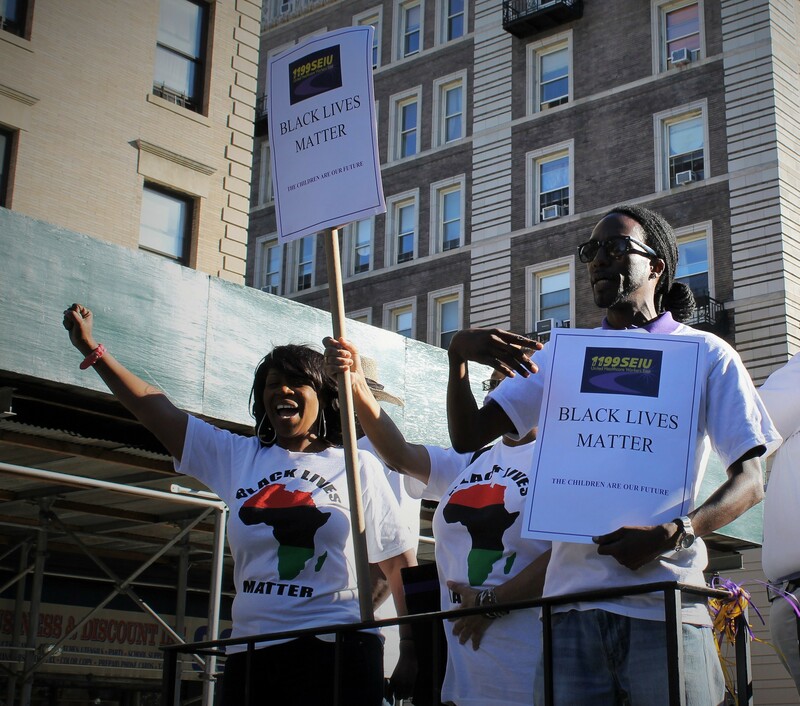 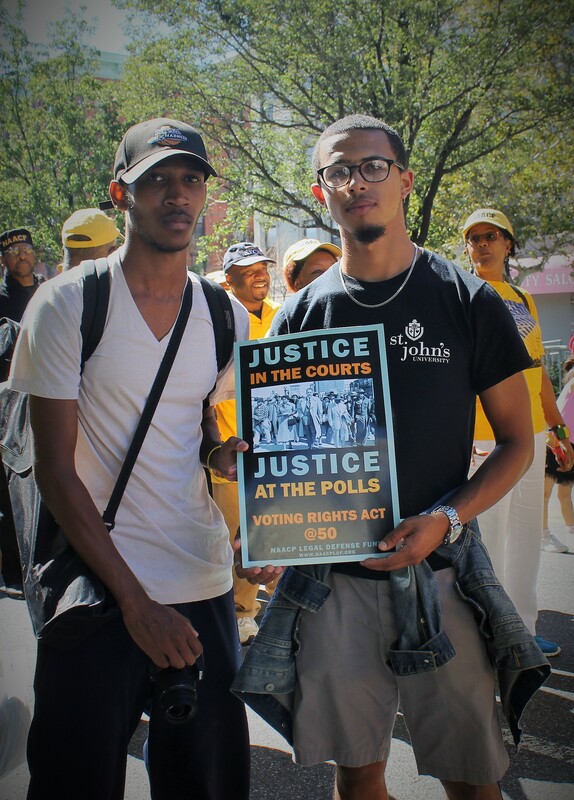 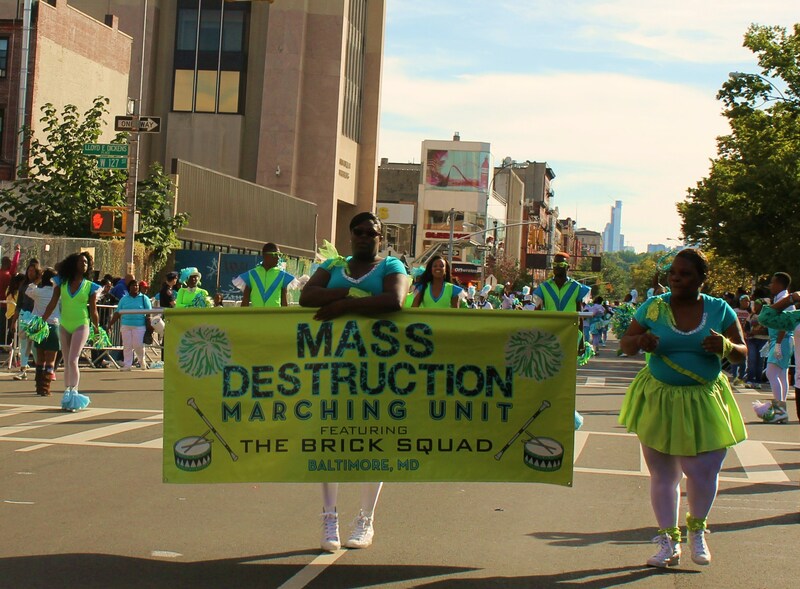 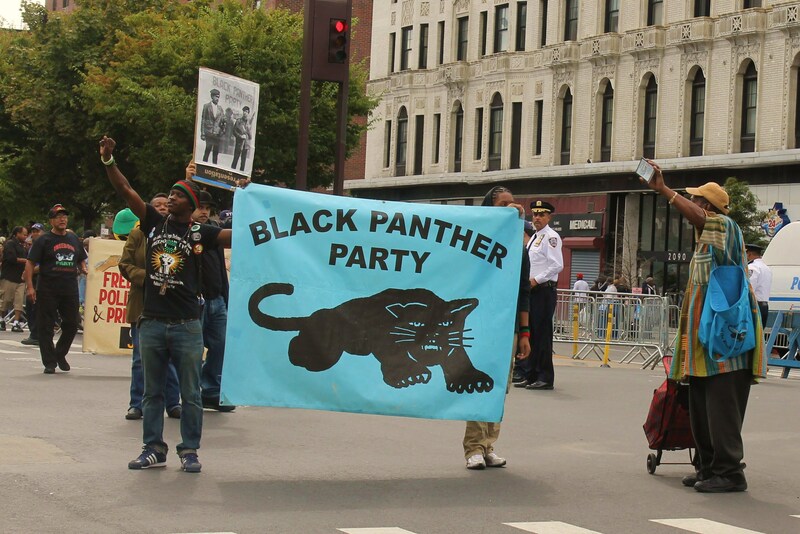 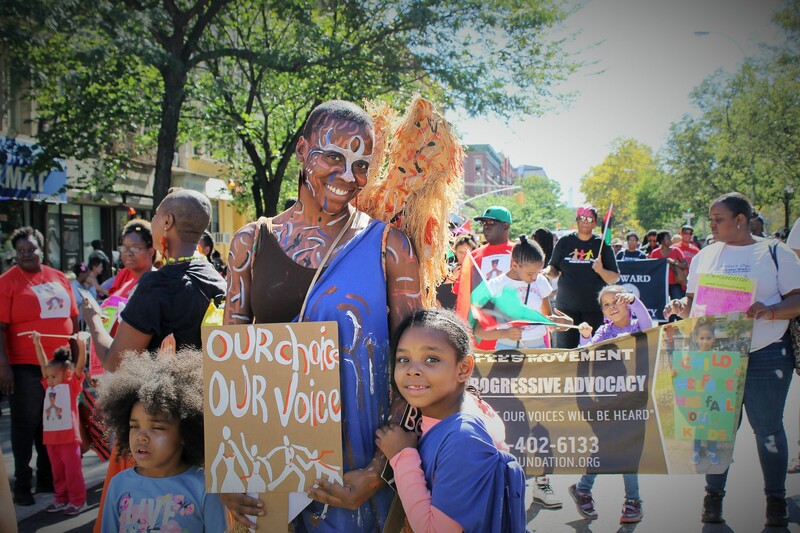 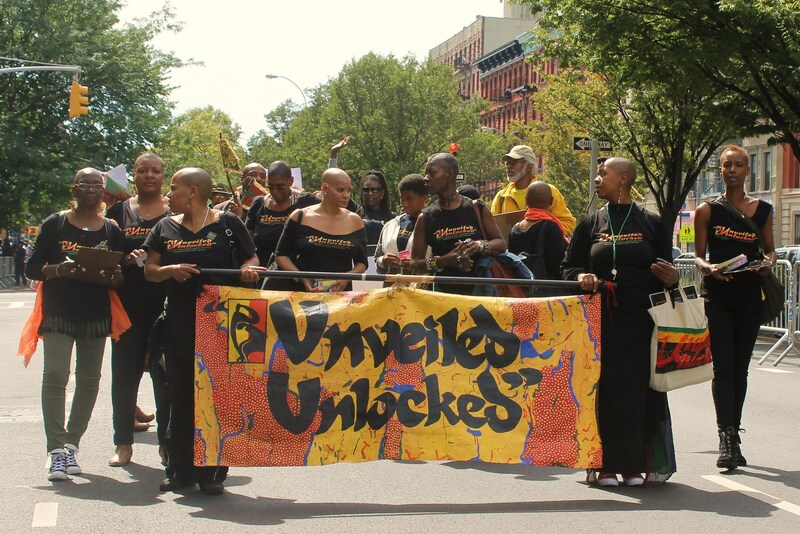 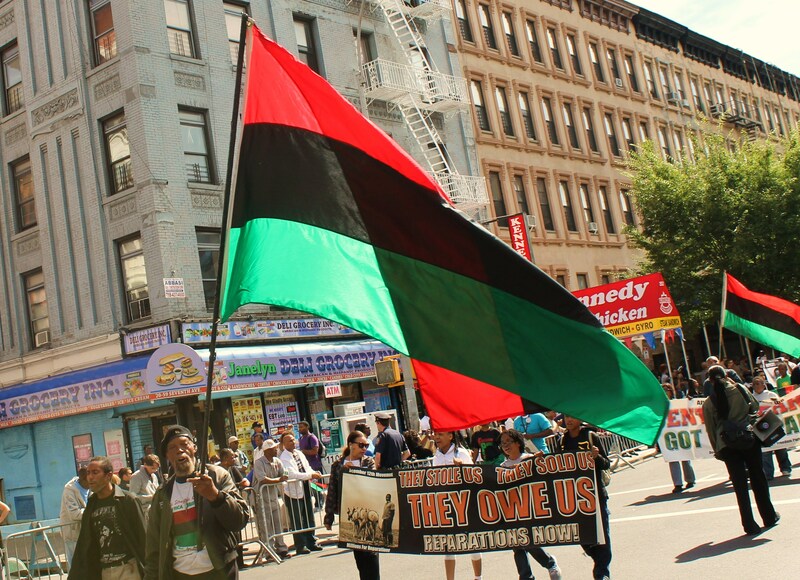 The Black Lives Matter group had gathered a large presence for this years parade and news of upcoming activist events and protests were let known. 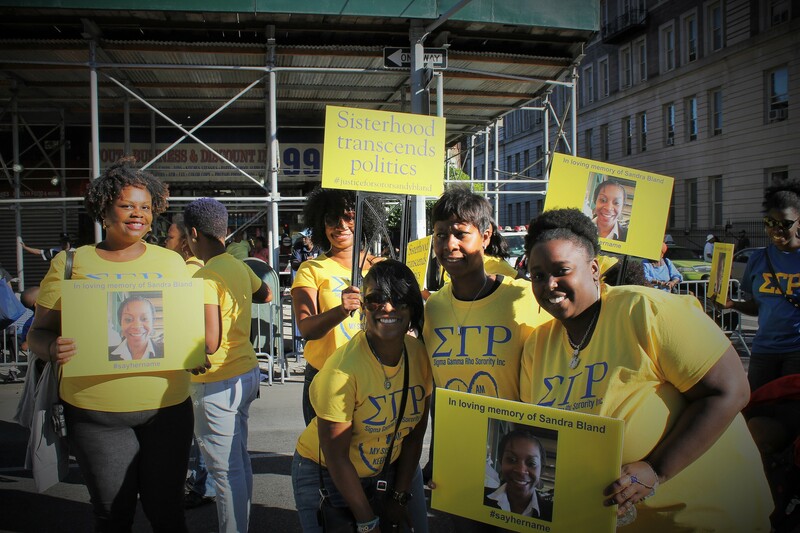 Sorority groups displayed posters proclaiming their allegiance with Sandra Bland. 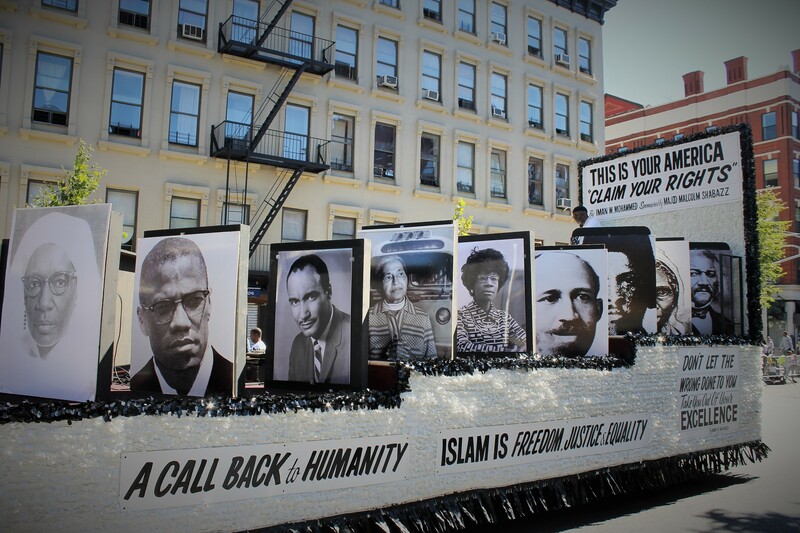 An Islam group sponsored by Majid Malcom Shabbaz had a few floats with large images of iconic figures that gave selflessly in the struggle for freedom and equality. 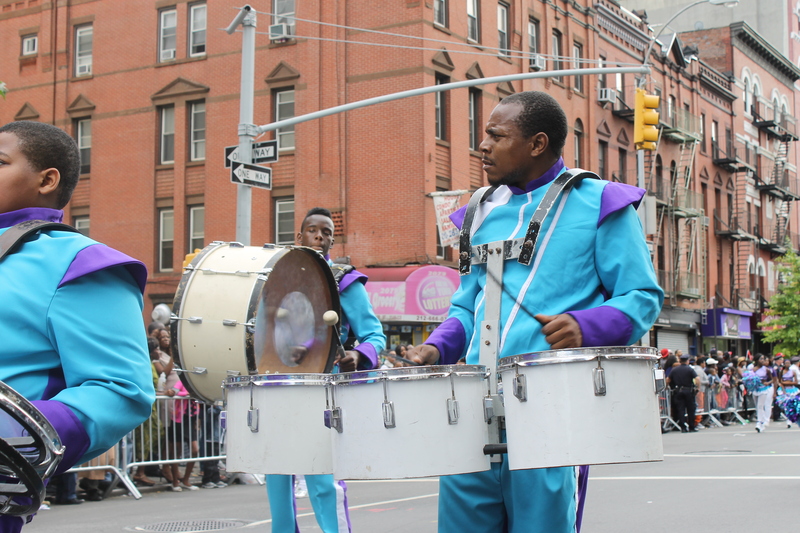 They also had a funk band that played some hot tunes from the Godfather of Soul, James Brown. 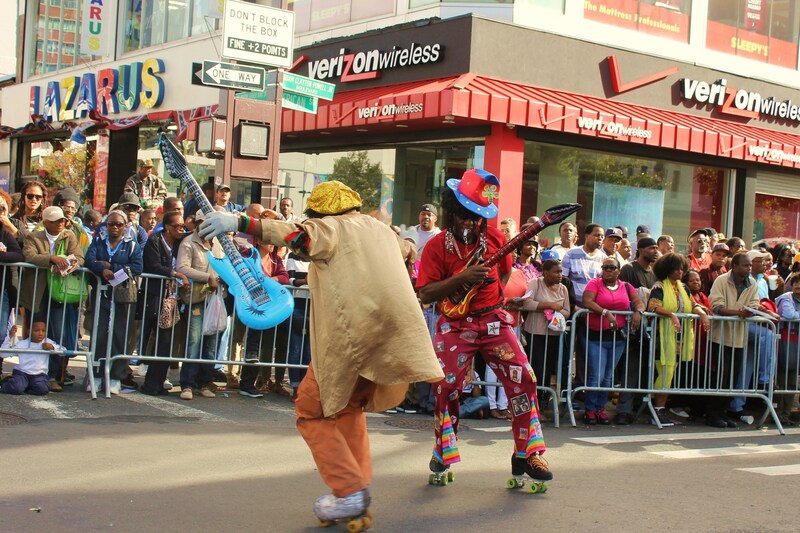 They got the crowd worked up. 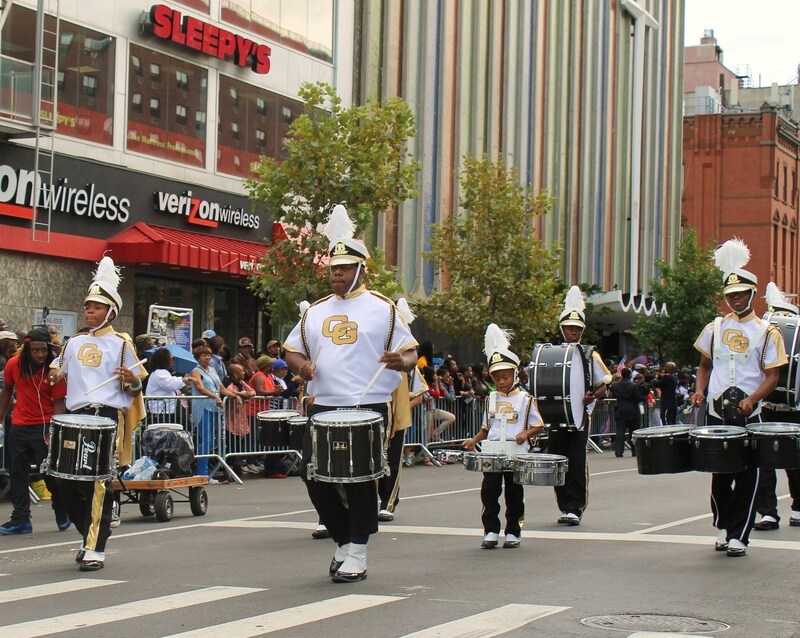 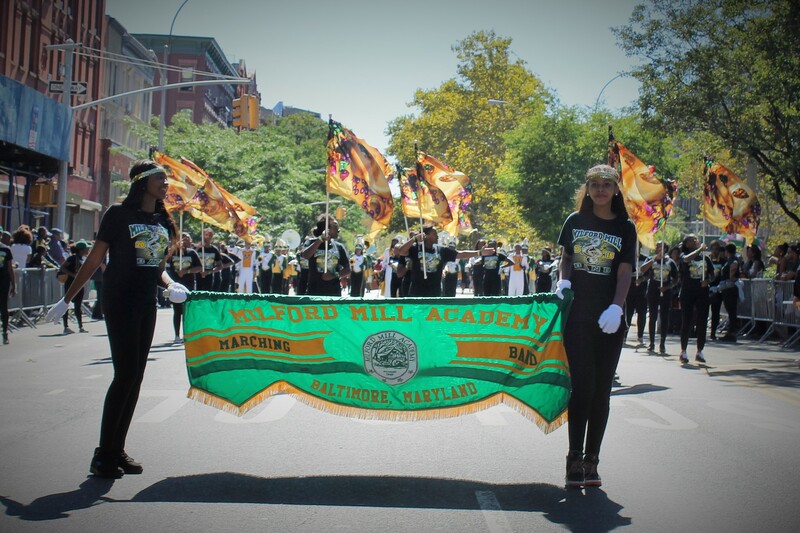 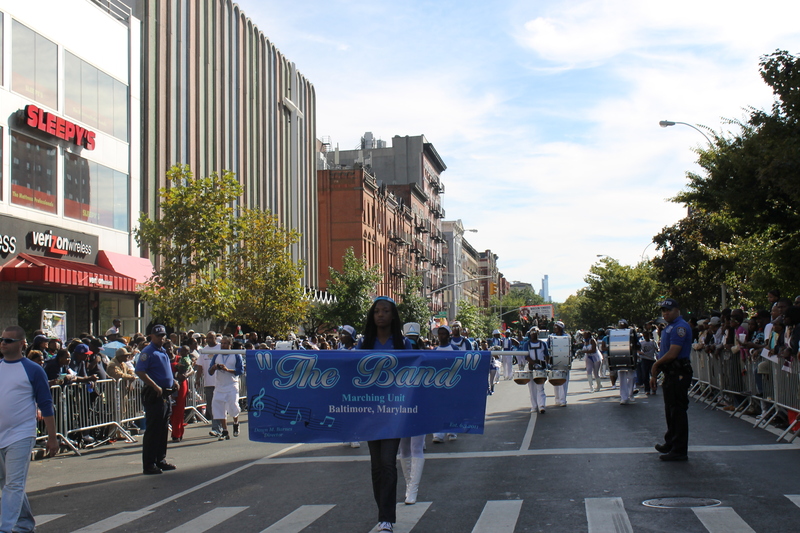 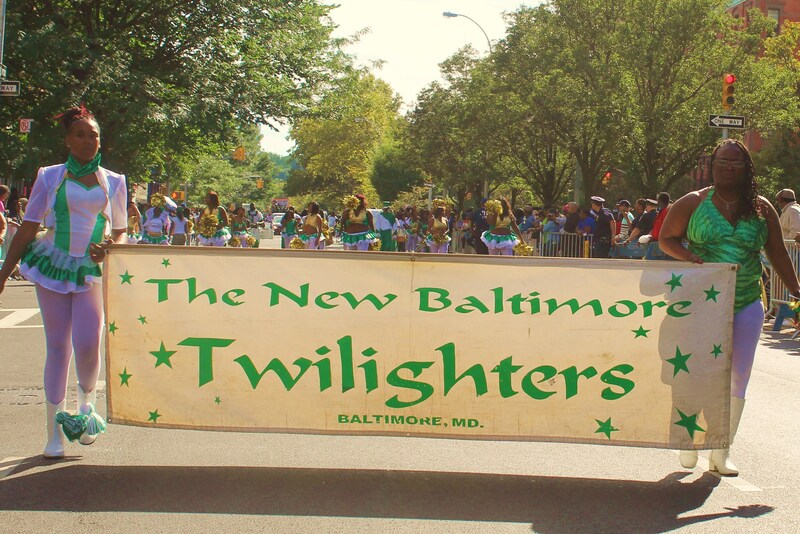 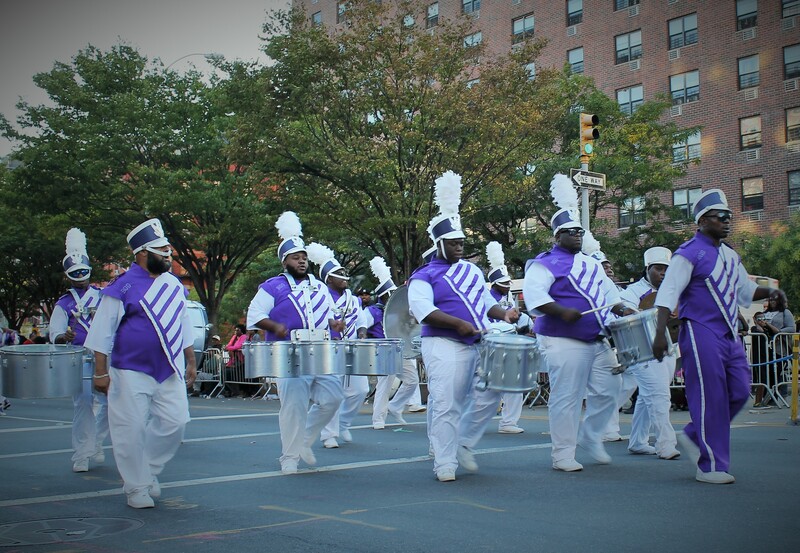 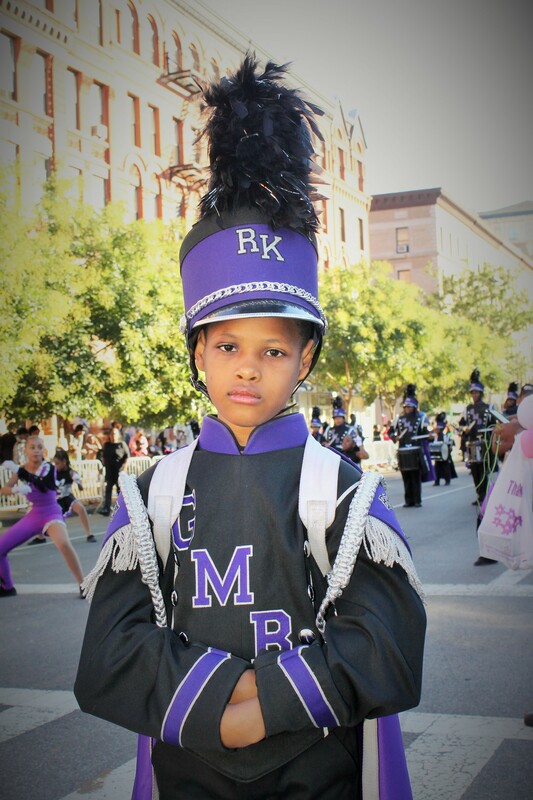 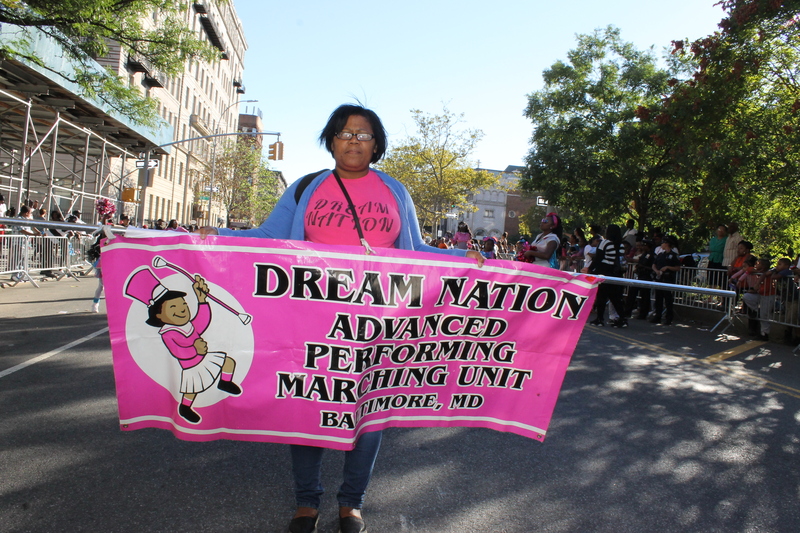 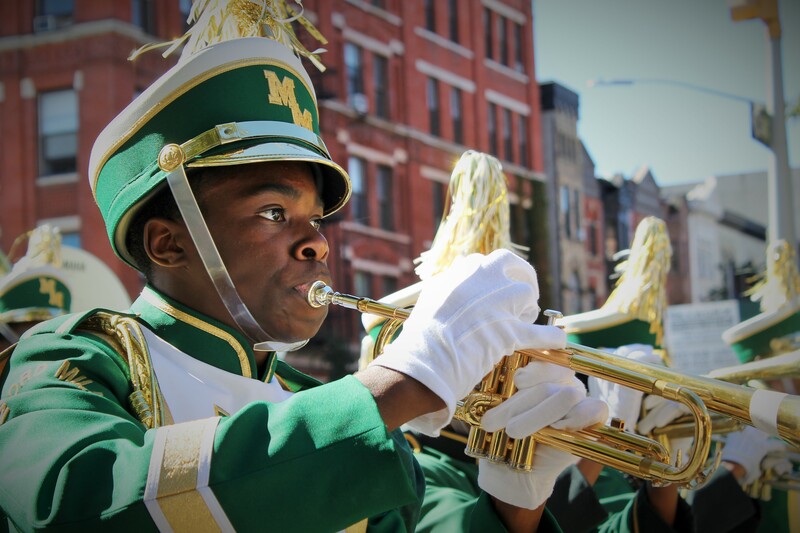 One of the many marching bands to march up the parade route were the newcomers from Milford Mills in Baltimore, Md. 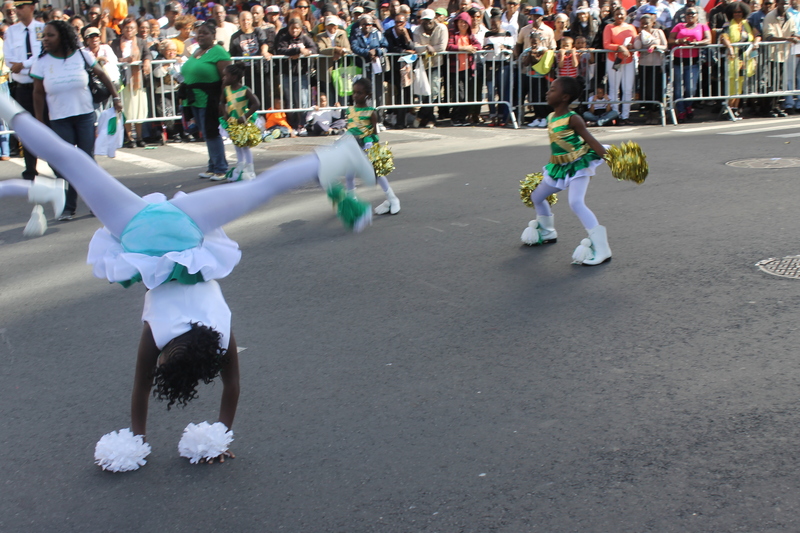 They were sharp with their green uniforms and lots of high energy. 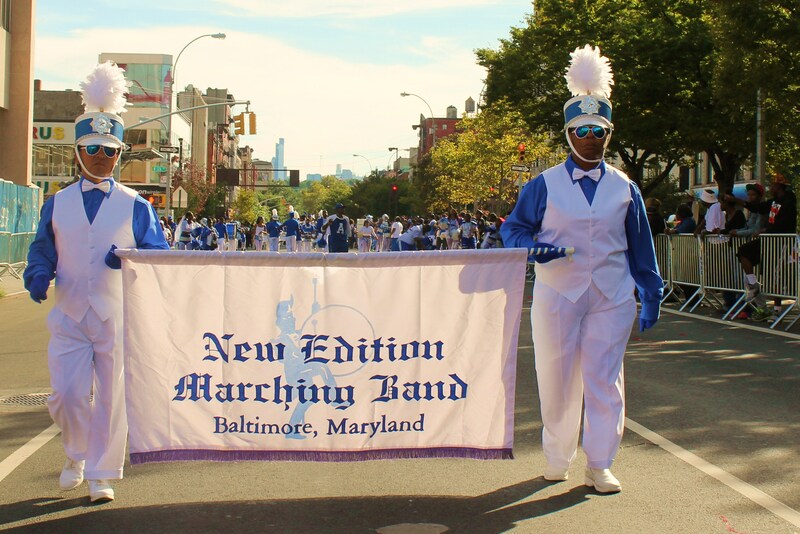 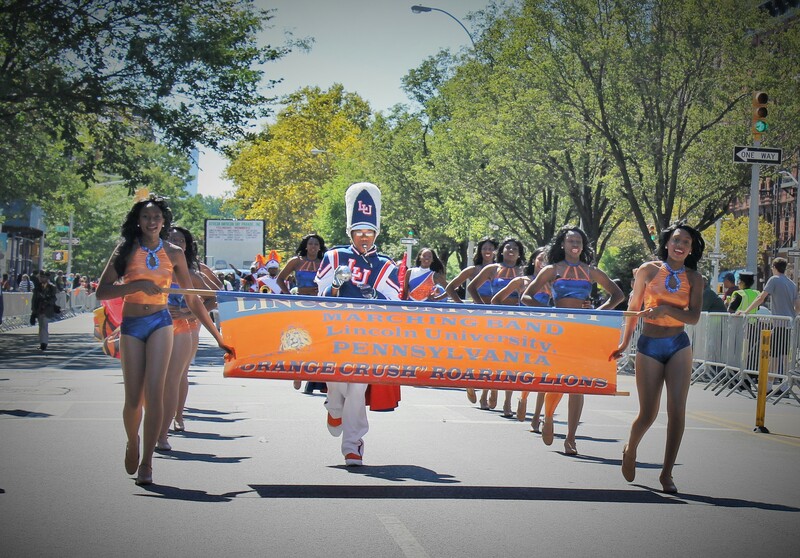 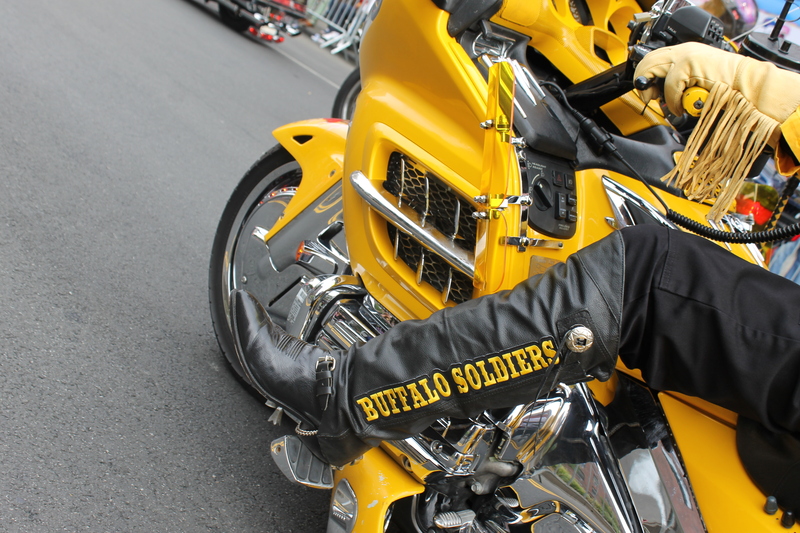 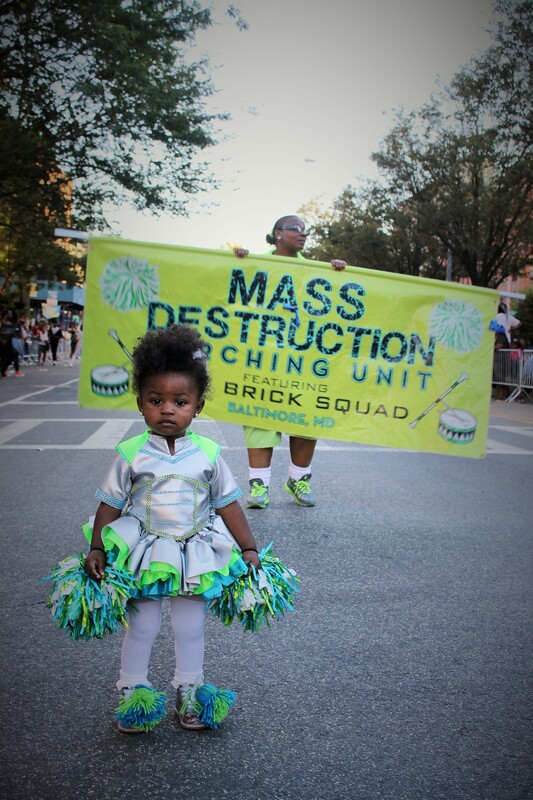 The first of the many marching units from Baltimore brought their style to the parade. 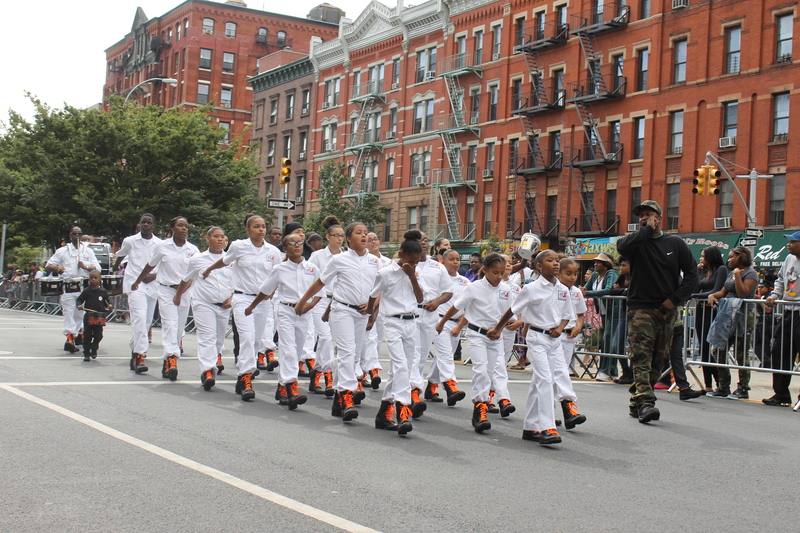 The Christian Warriors thrilled the crowd with their moves. 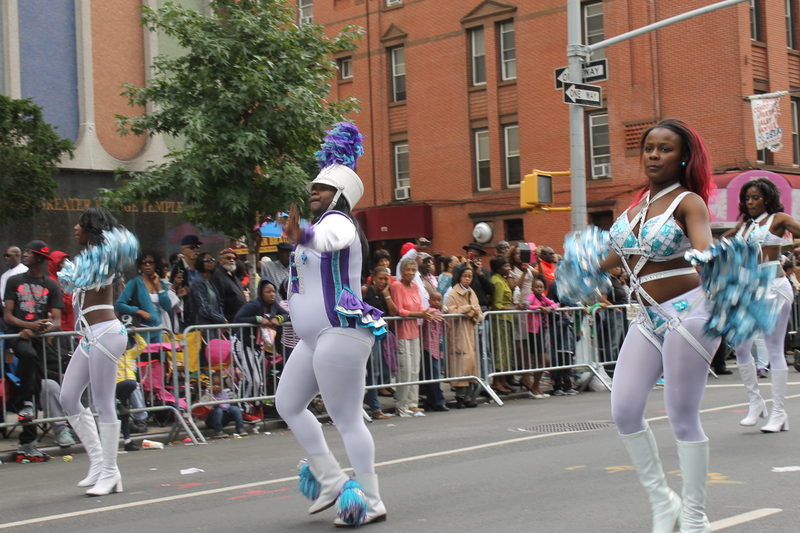 They were just warming things up for some of the larger marching units including the striking local Marching Cobras. 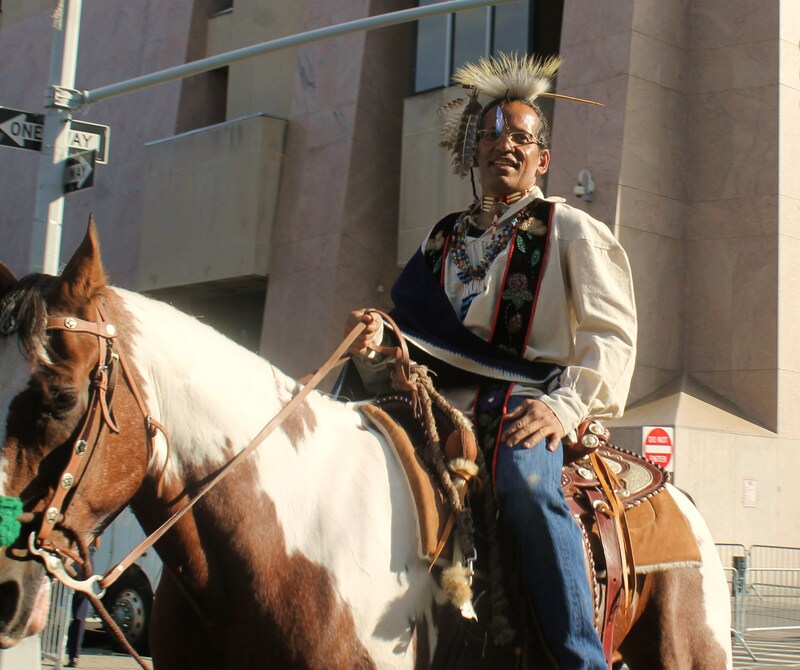 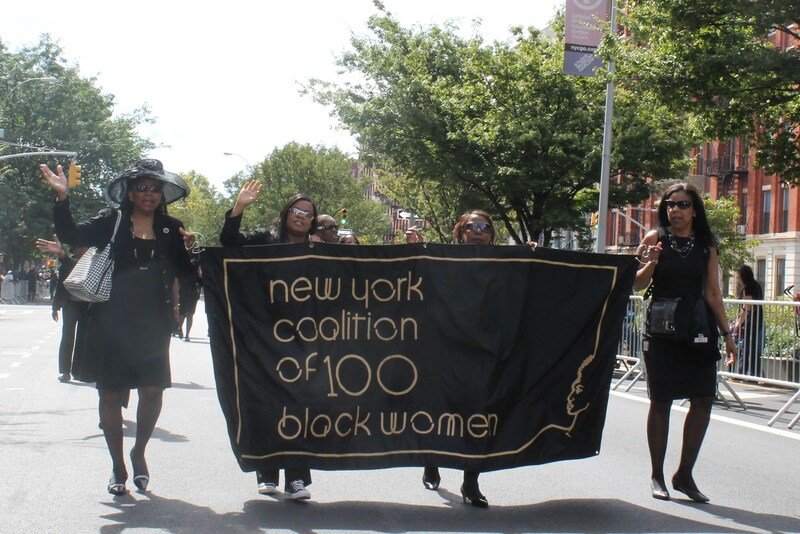 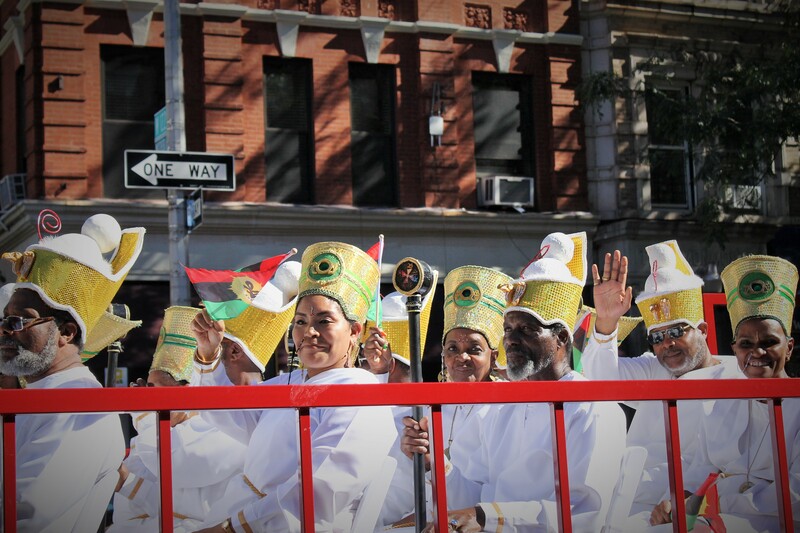 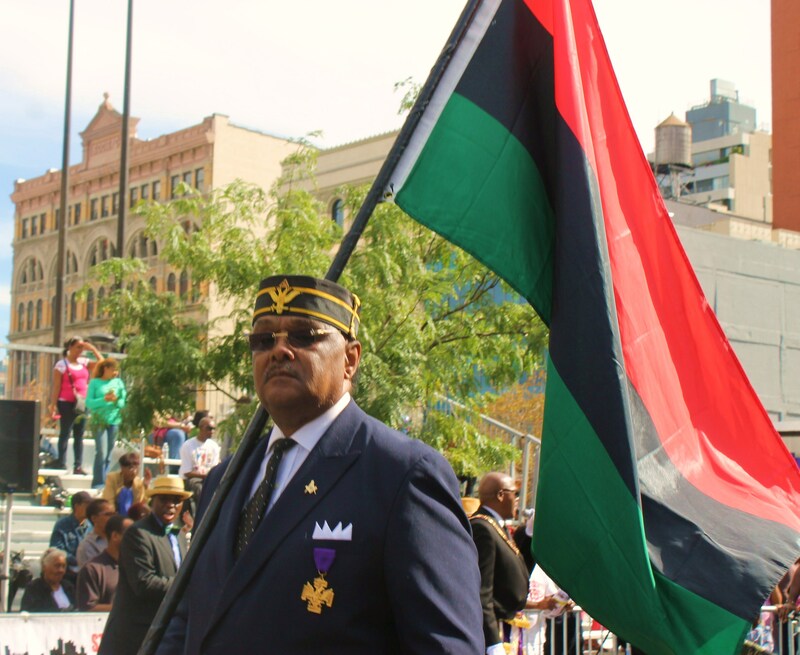 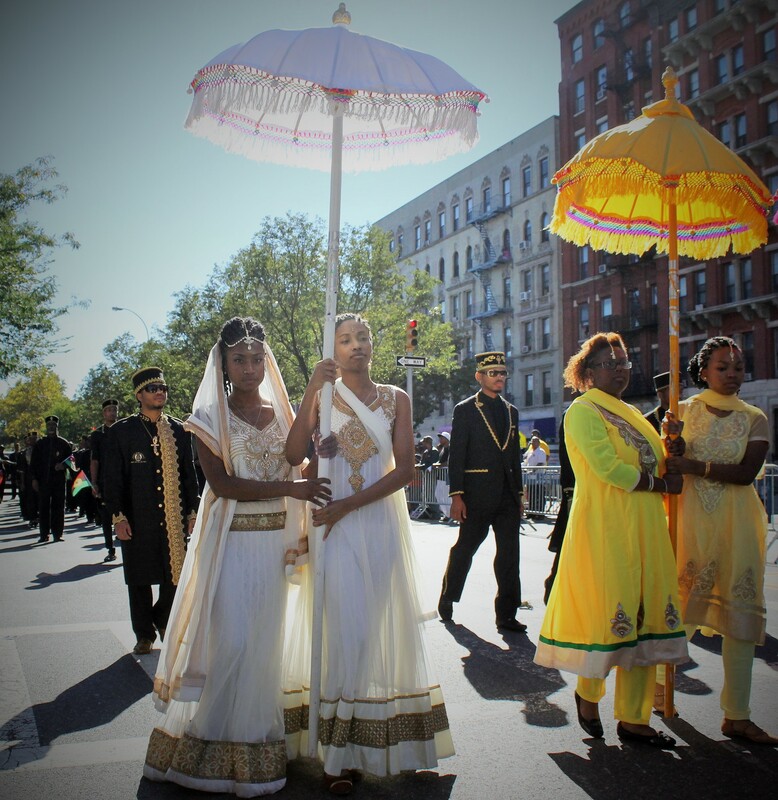 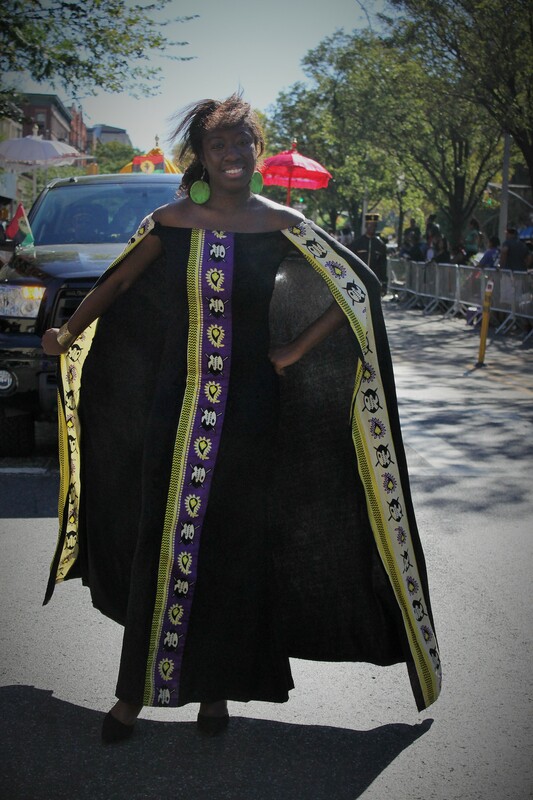 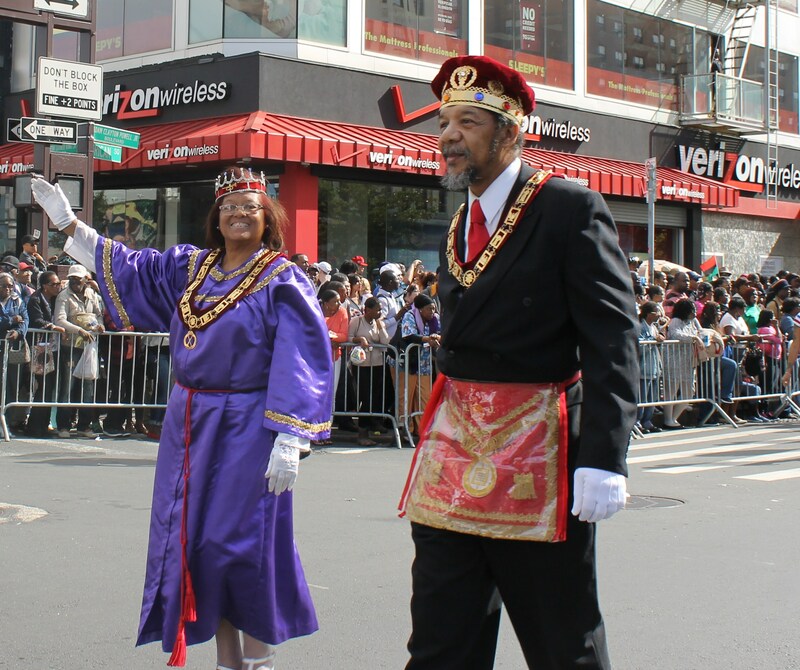 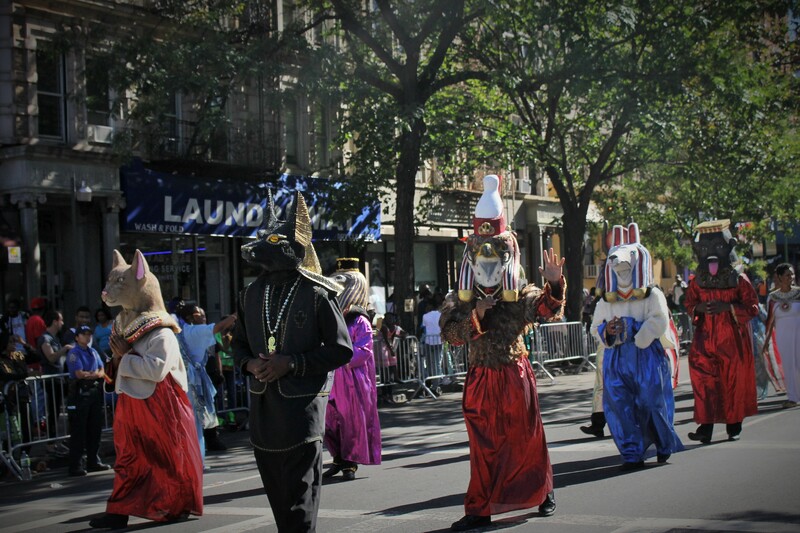 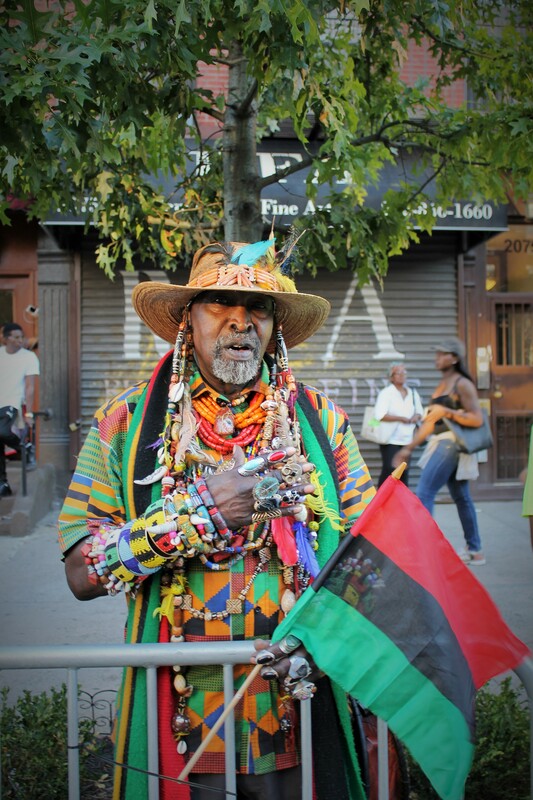 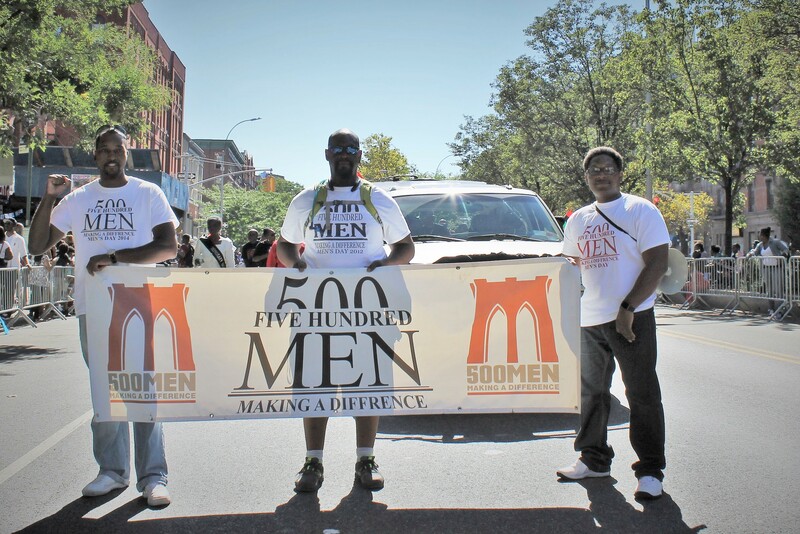 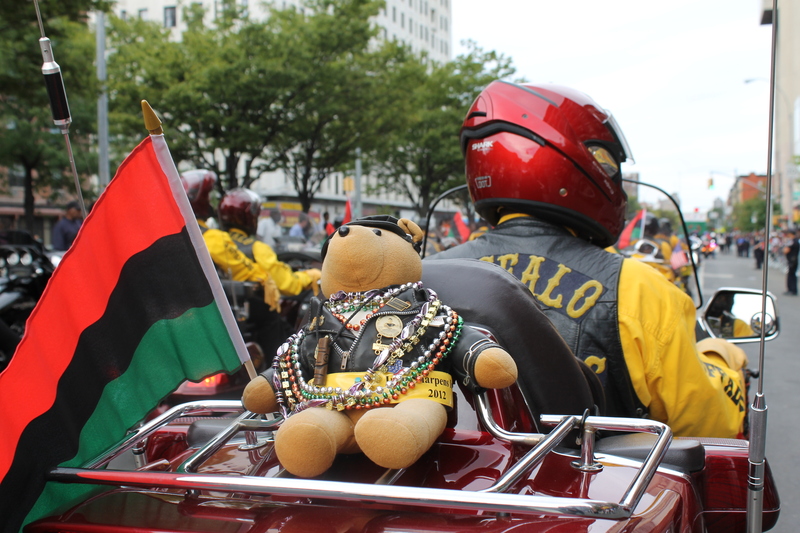 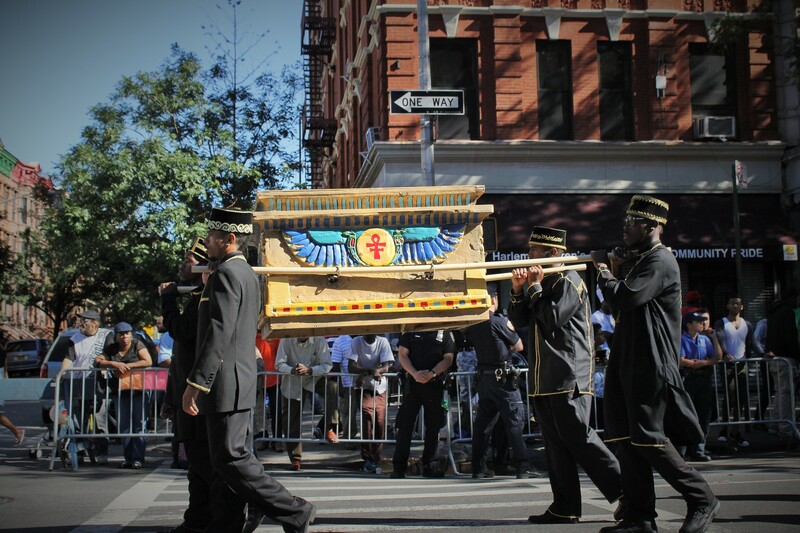 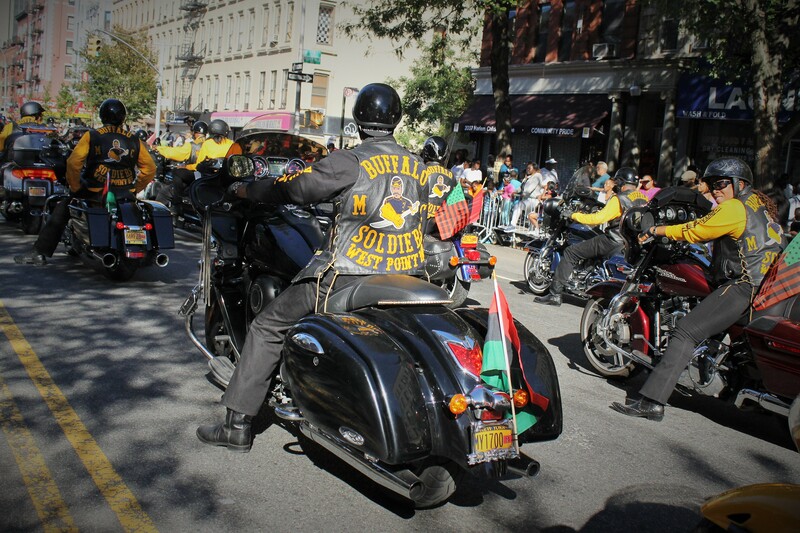 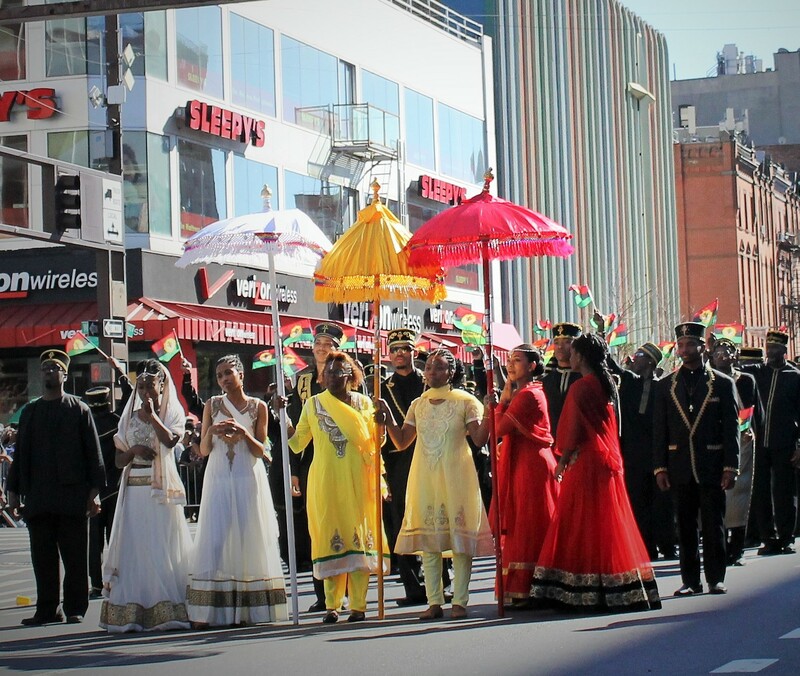 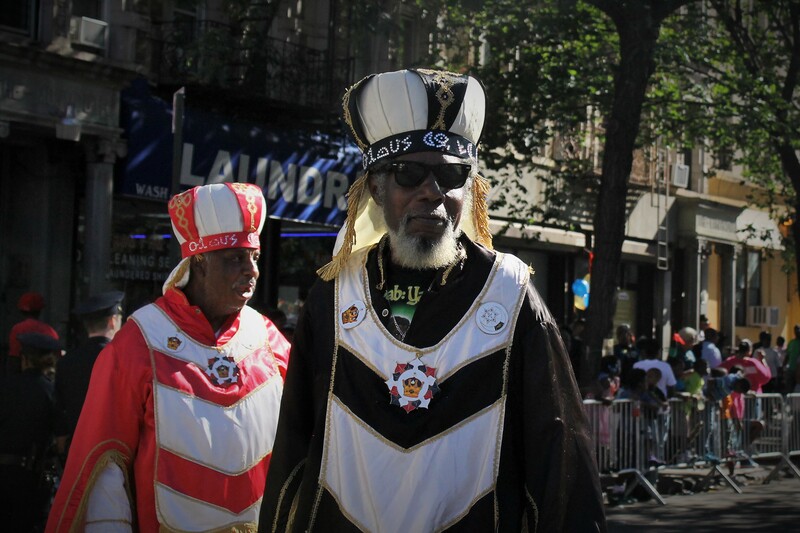 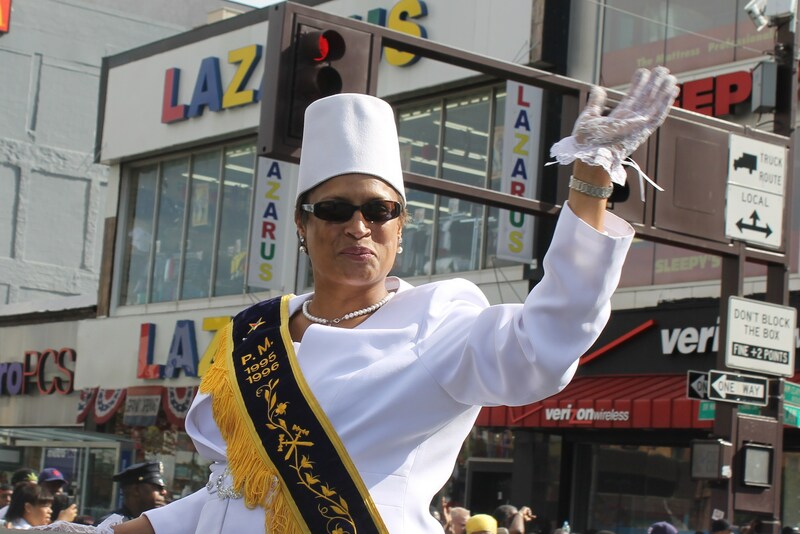 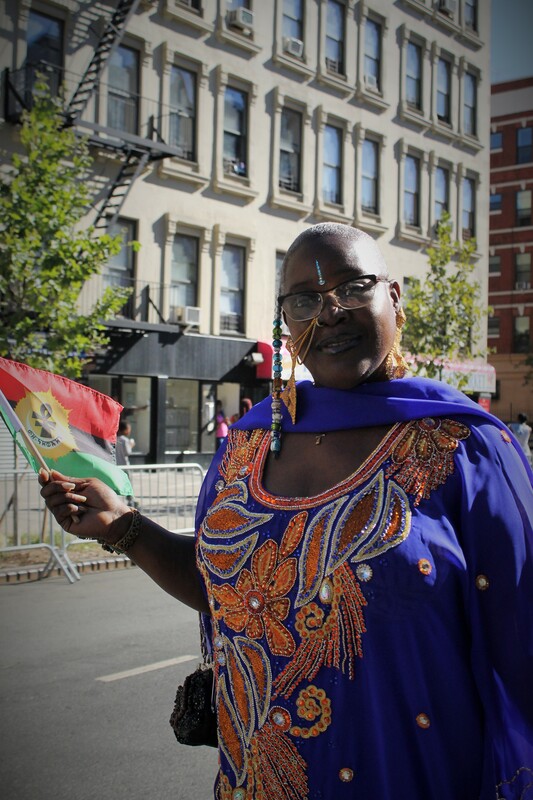 One group that made the biggest impression was a large group representing the United Nuwaupian Nation, an ancient Egyptian order based in Brooklyn. 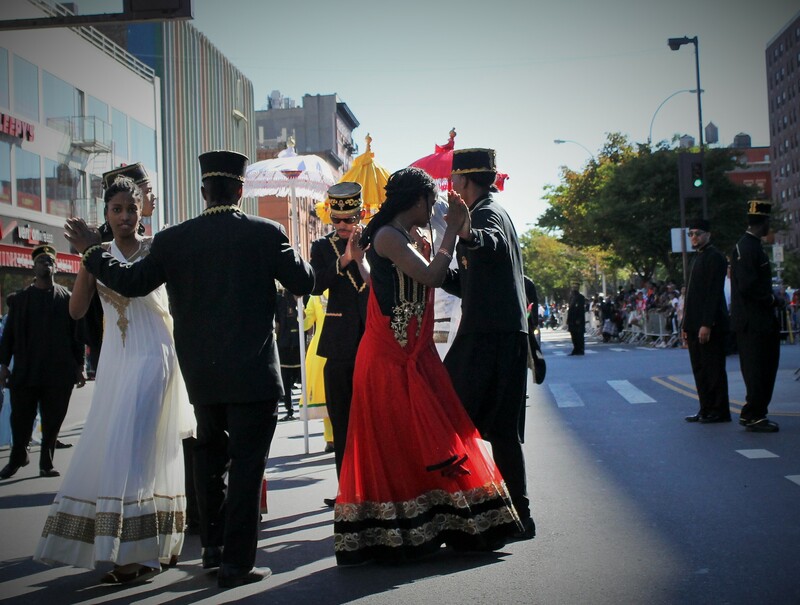 They dressed in traditional costume and presented a traditional dance at the reviewing stand. 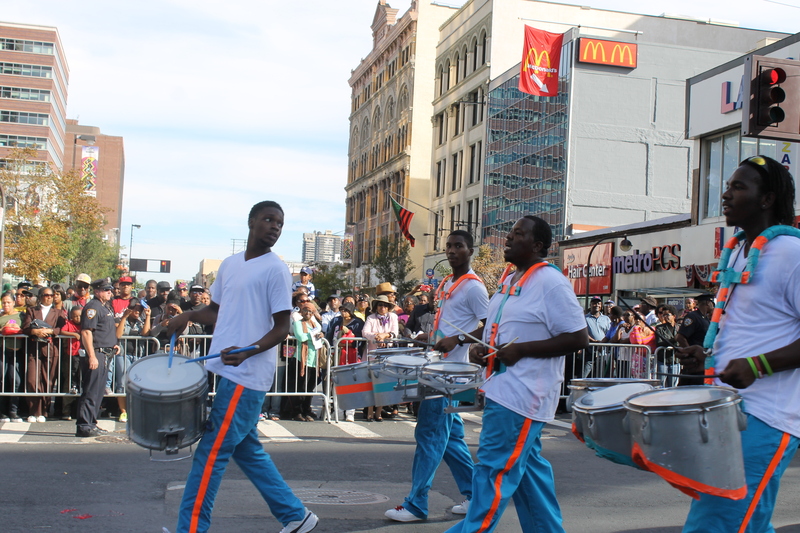 Soon after several marching units from Baltimore tore it up with their high stepping and loud drums. 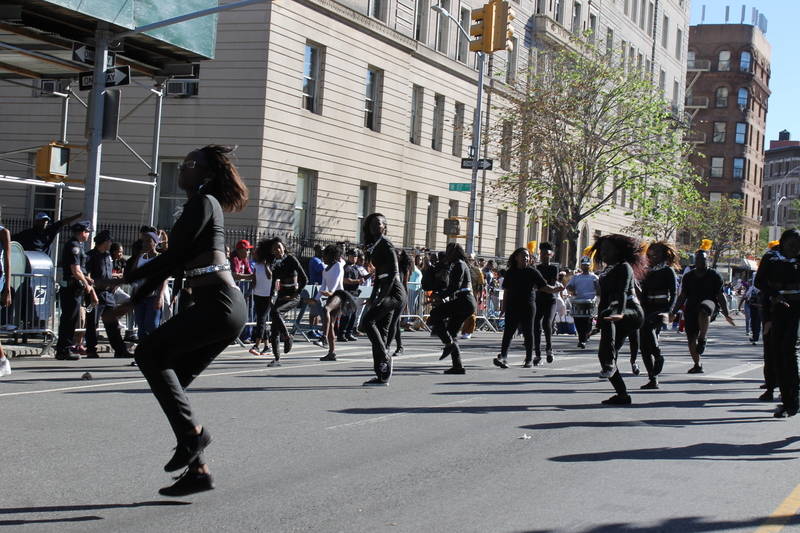 Dream Nation got things moving with their high energy. 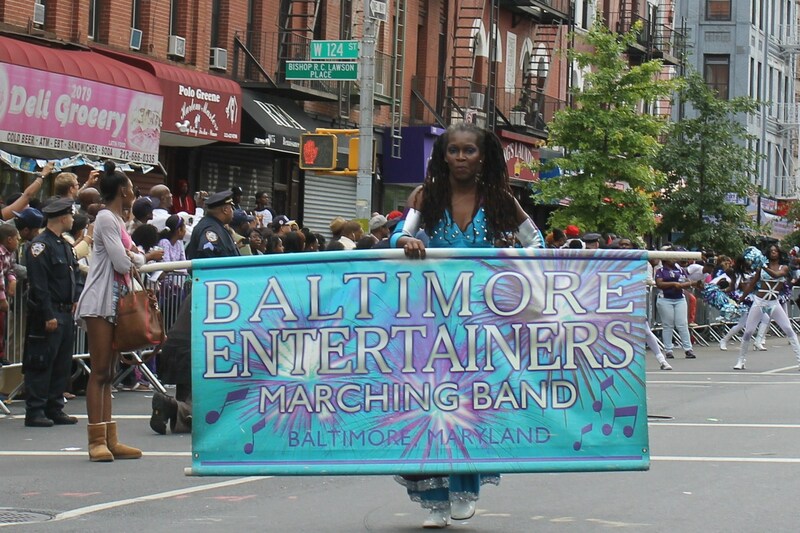 The Baltimore Entertainers followed up with their own style but not far behind was the sassy Baltimore All-Stars. 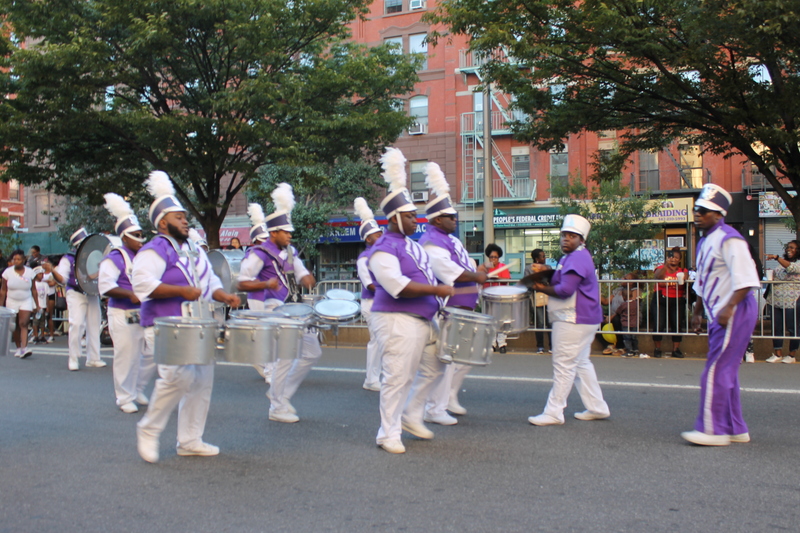 Near the close of the parade was the Baltimore Go-Getters and that they did with one the more impressive shows for the crowd to really get into. 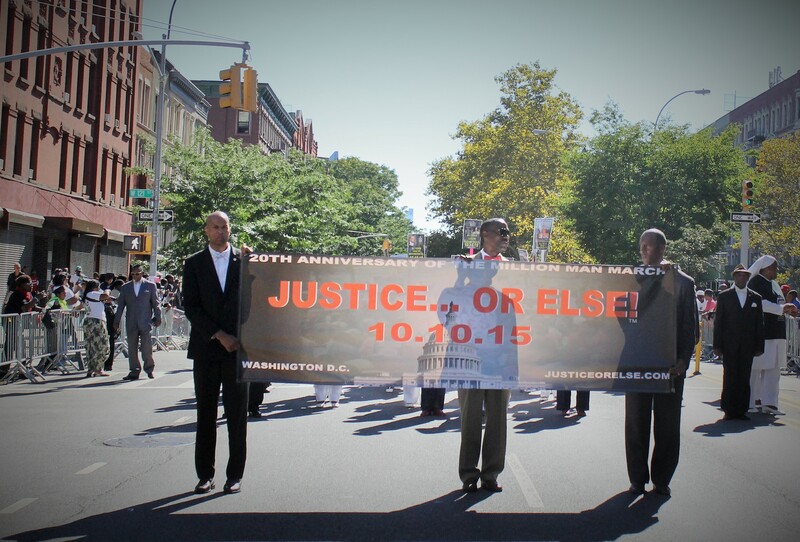 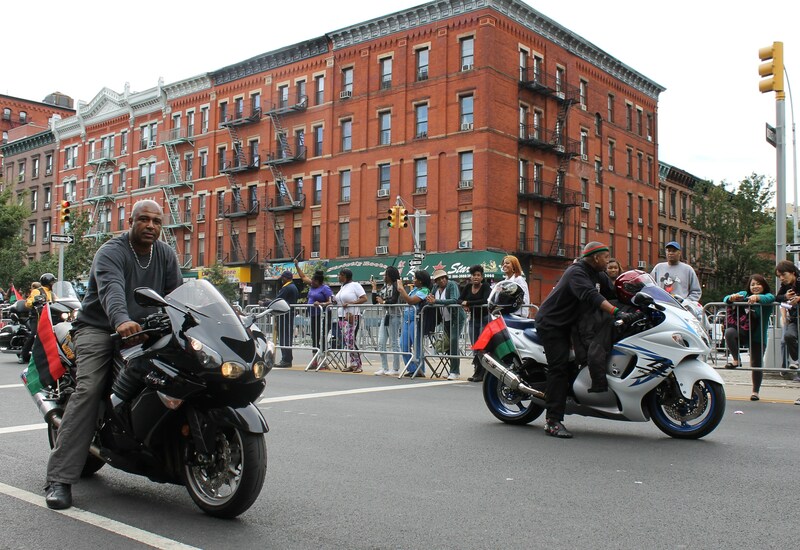 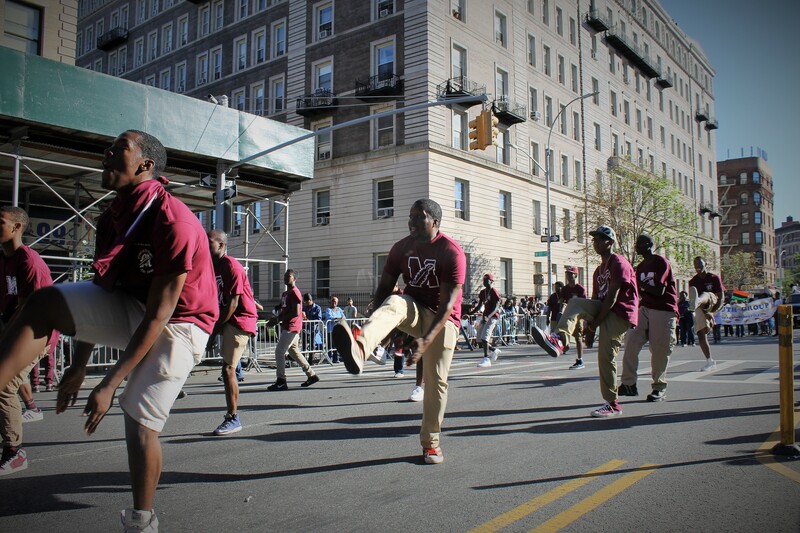 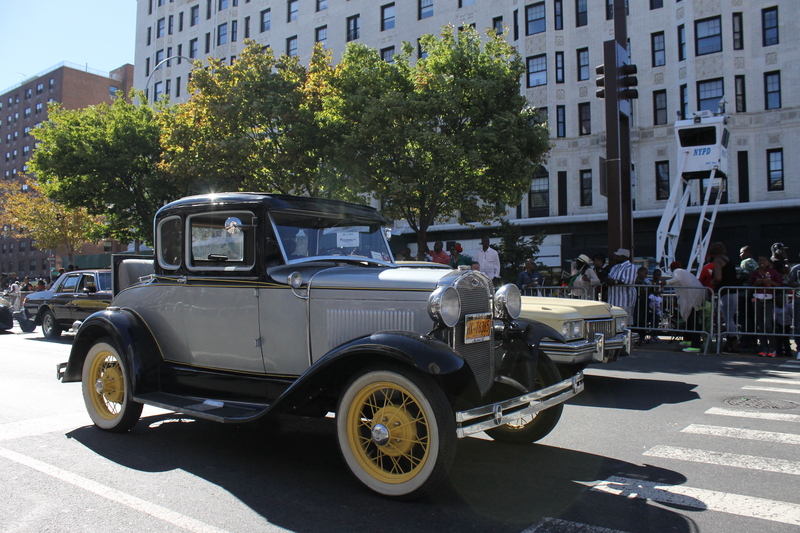 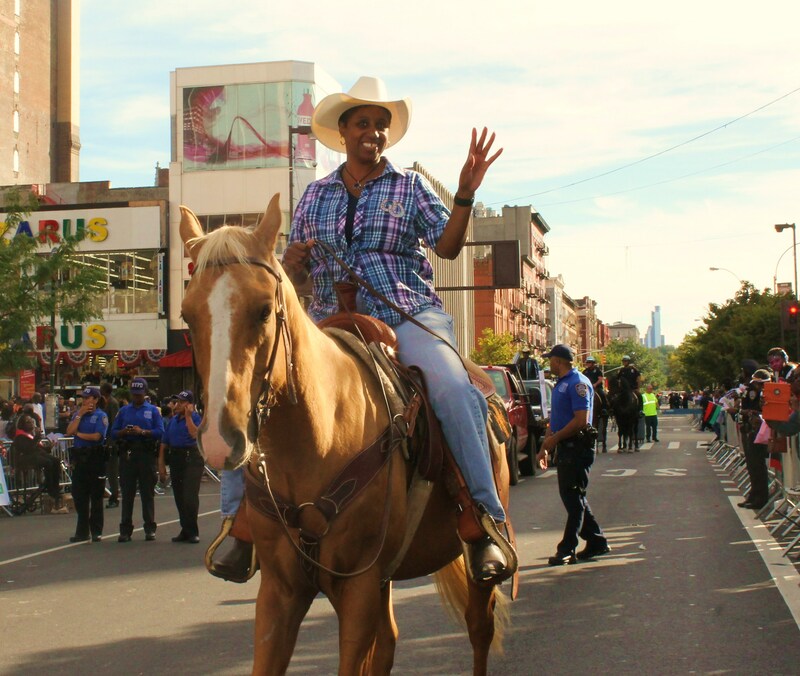 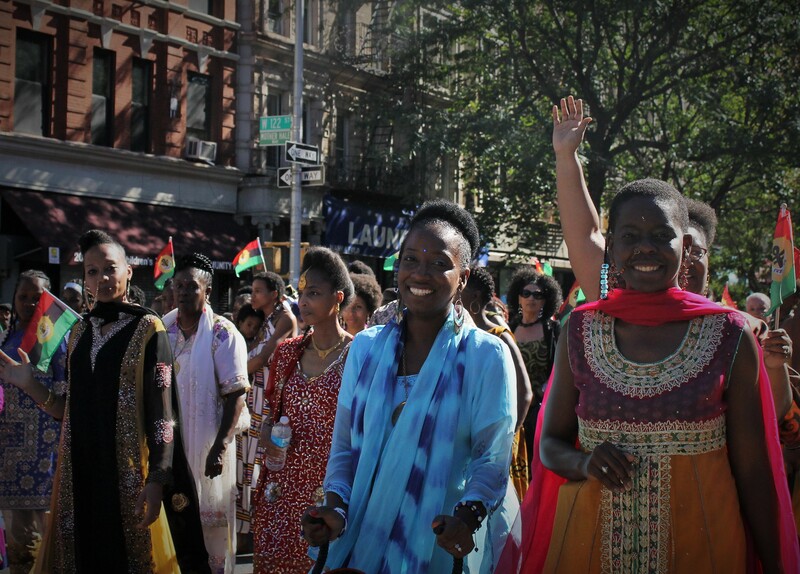 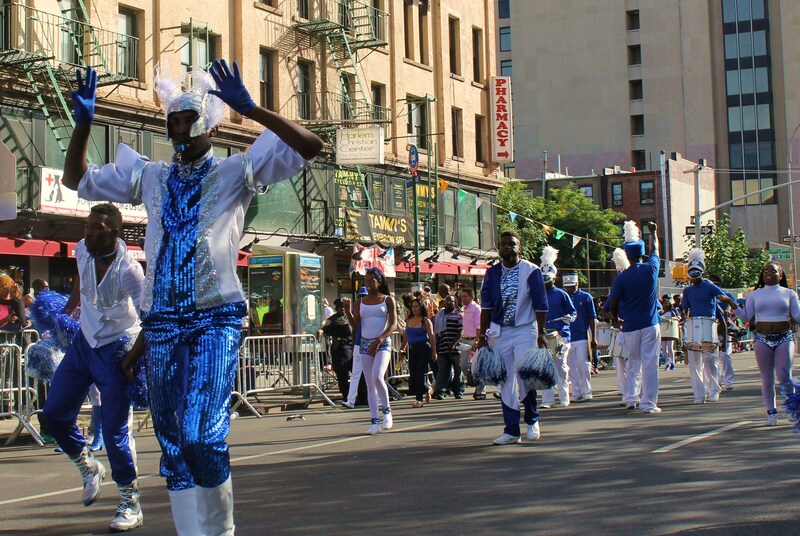 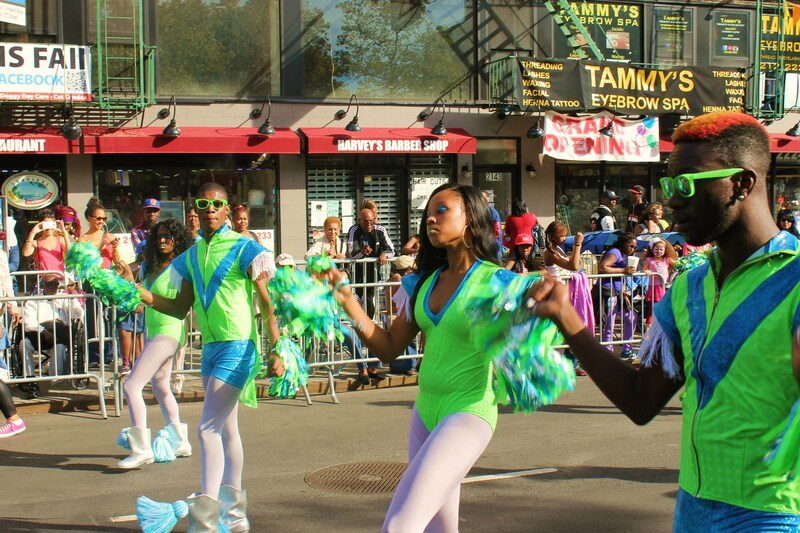 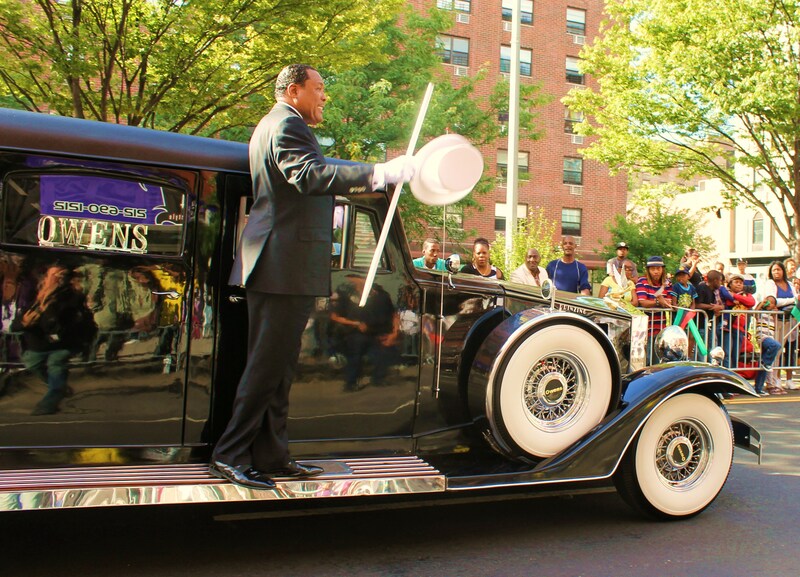 It was a great time for anyone to come up to Harlem and celebrate in grand style.